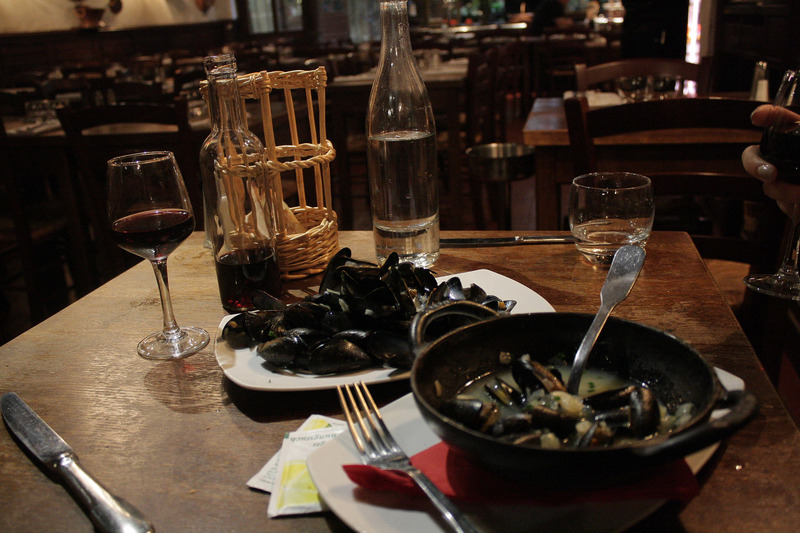 Naturally, one of the many highlights of our honeymoon was enjoying the French cuisine. 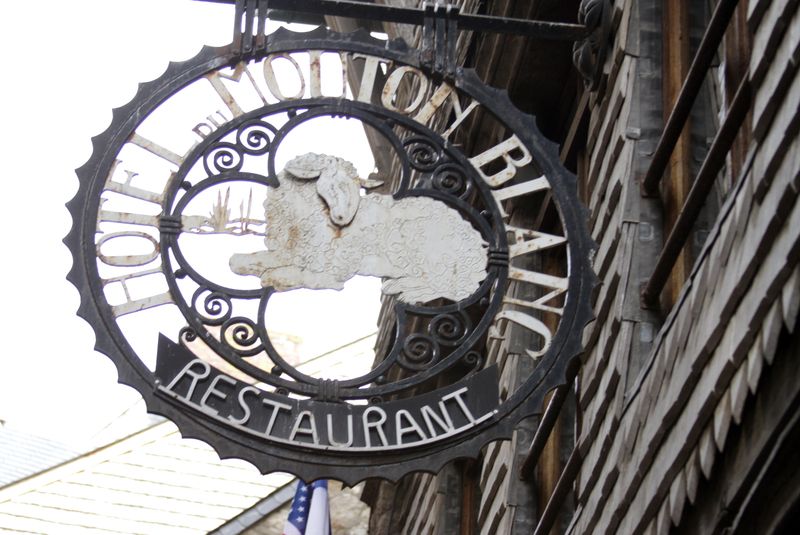 We had a great variety of classic dishes, as well as some new ones we had never heard of. Here is a sampling of some of our favorites, at least some that we managed to take a picture of before gobbling it all up. 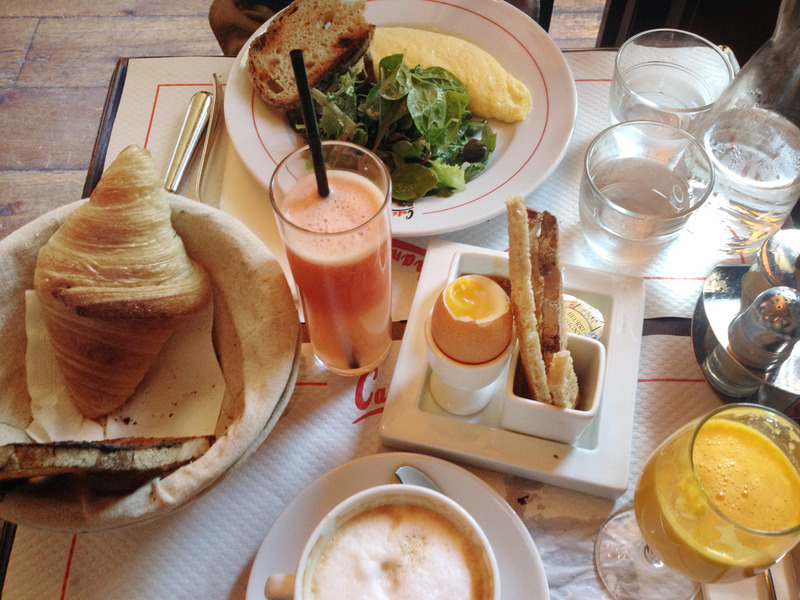 All of our breakfasts were fantastic. 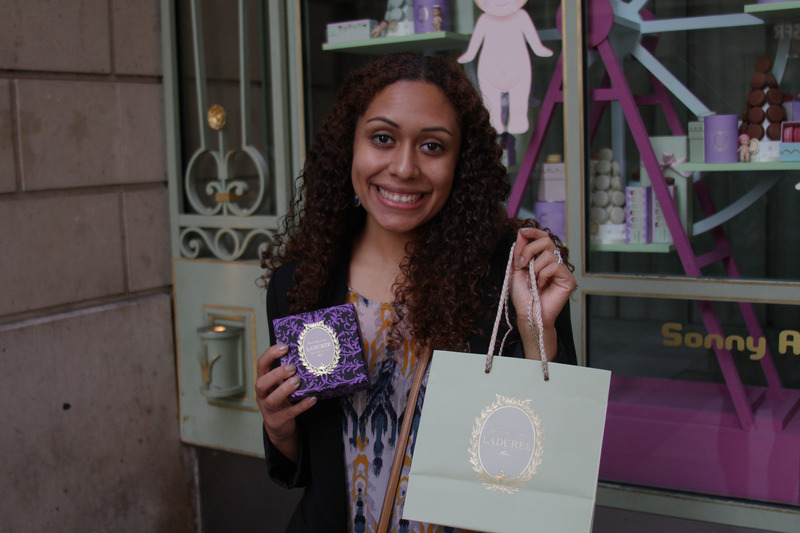 Our meal at the famous bakery Ladurée in Paris was perfectly suited to meet our expectations of this gorgeous dining room. 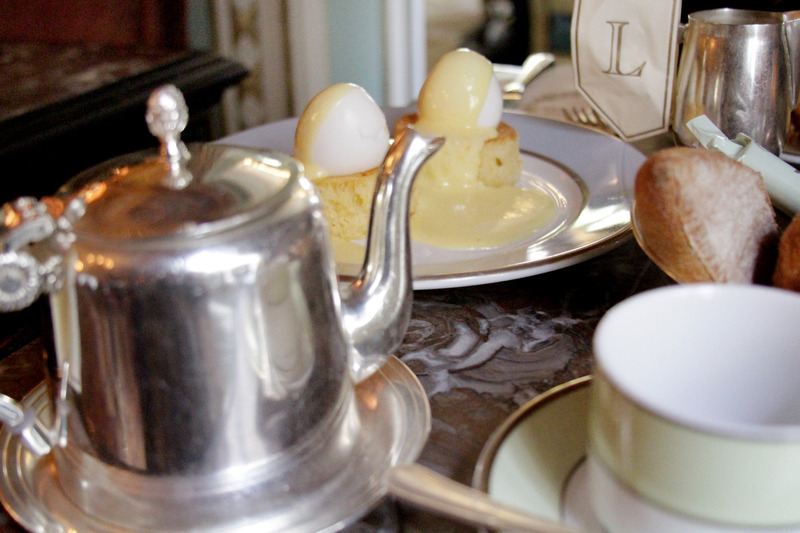 Every element from the perfectly cooked poached eggs to the elegant tea cups made the experience even more enjoyable. 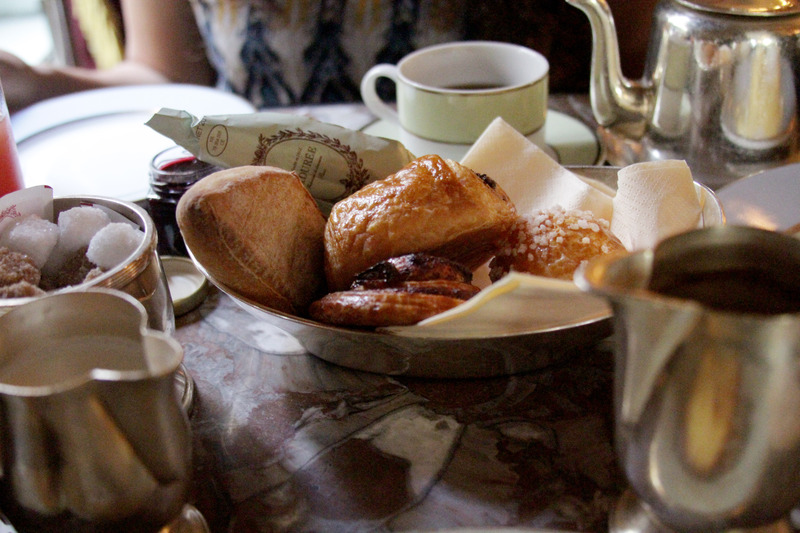 As much as we loved the delicate poached eggs from Ladurée, I found that oftentimes the simpler foods were just as delicious. 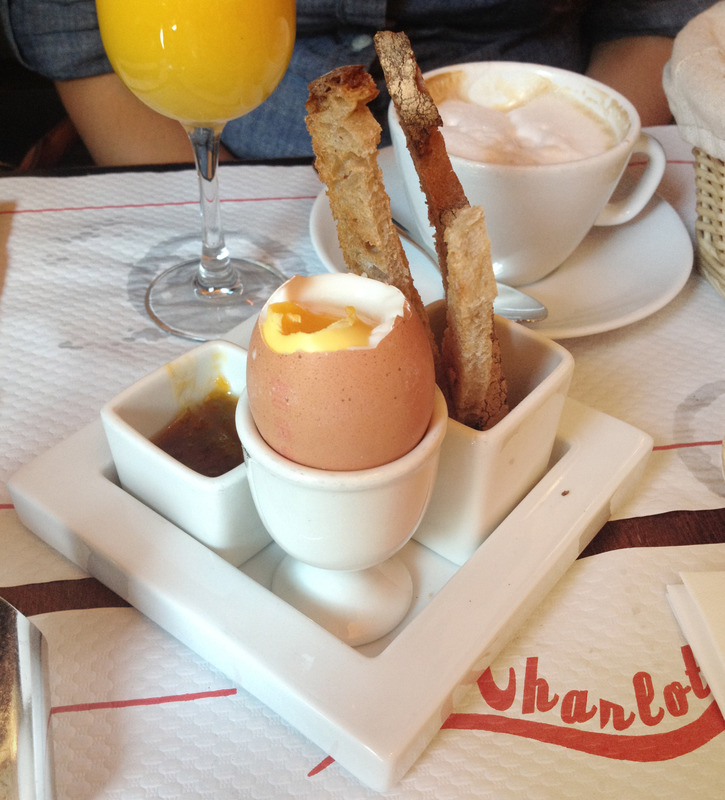 This warm egg and toast breakfast at Café Charlot was one of my favorites from our whole trip, and one that I know we’ll re-create at home many times. 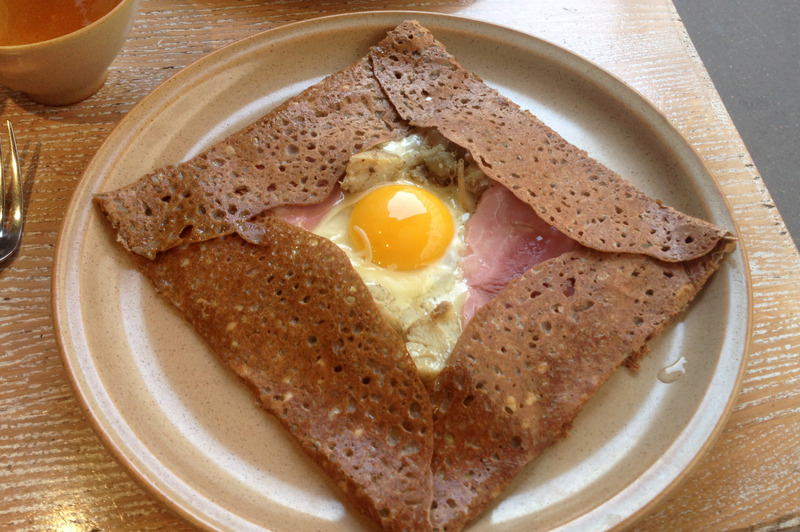 On a colleagues recommendation we tried out Breizh Café, which turned out to be just a short walk from our hotel in Paris, to try out their famous buckwheat crepes. Neither one of us had ever tried foie gras (it’s actually illegal in California), so we decided to take the opportunity while in Giverny. 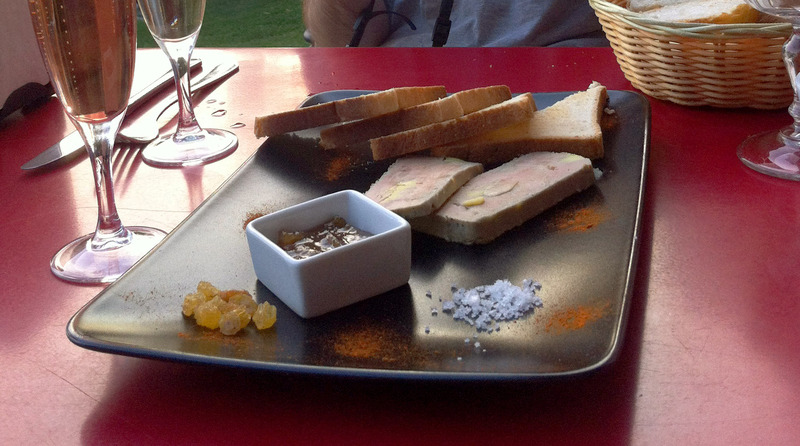 The soft pâté was rich in an unexpected but pleasing way. 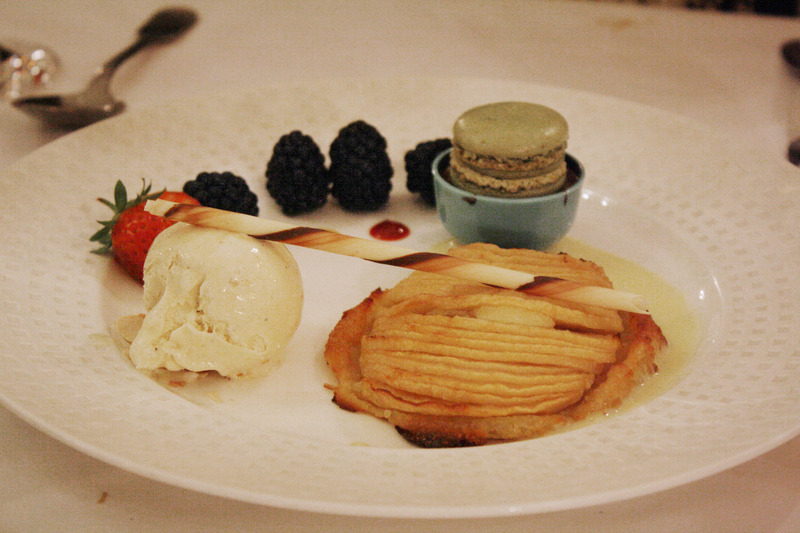 At Bistrot Paul Bert, we tried a few classic dishes that were perfectly executed. 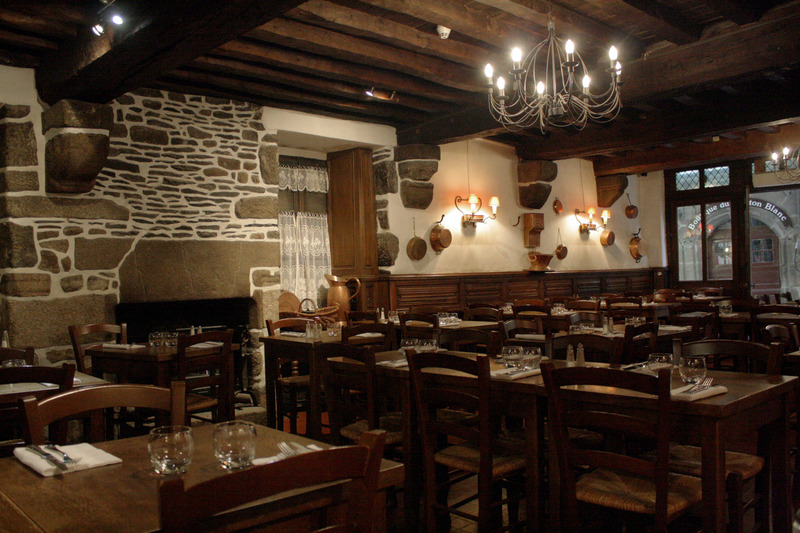 By far our favorite meal of the trip was at Le Mouton Blanc, the hotel we stayed at in Le Mont Saint-Michel. 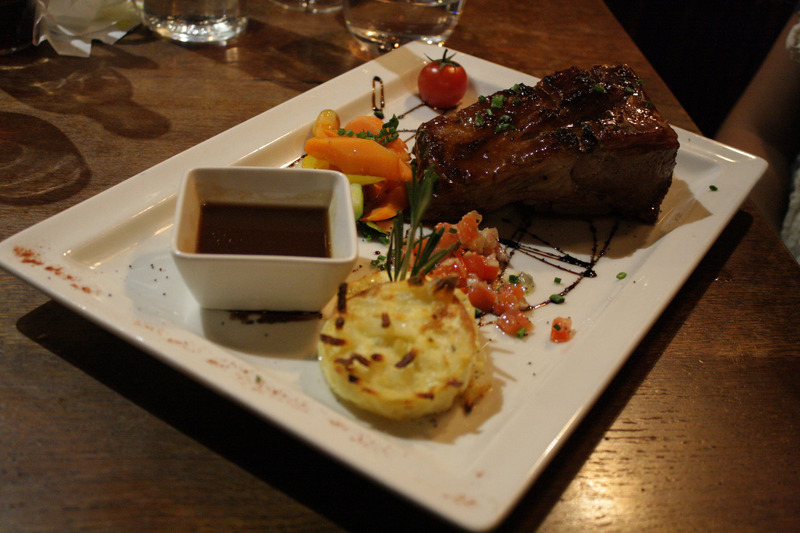 The charming atmosphere, great service, and fantastic food and wine made the evening romantic and memorable. 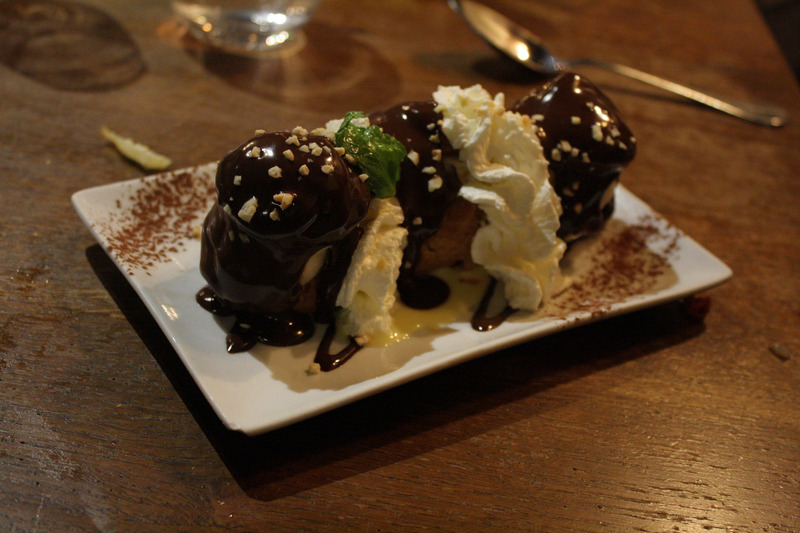 Throughout our trip we tried just about every classic French dessert, and they never disappointed. 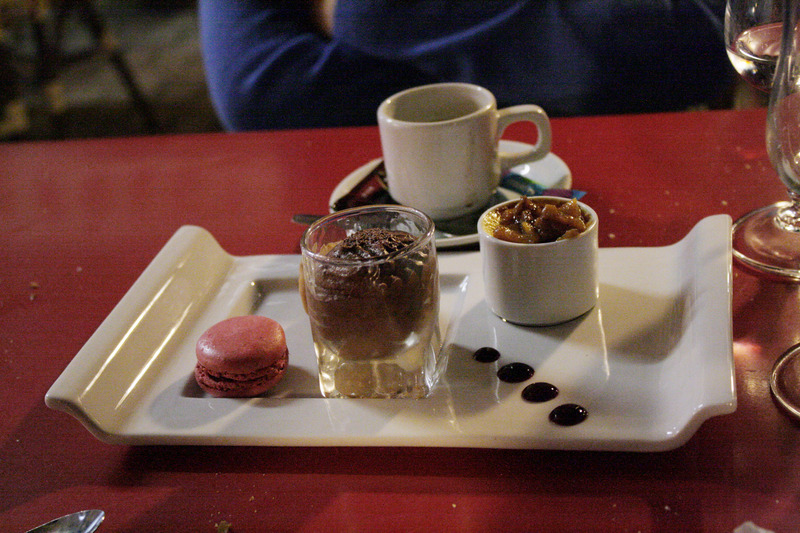 Each restaurant we went to had impeccable presentation and offered a welcome variety. Of course we couldn’t return home without bringing a treat back with us. 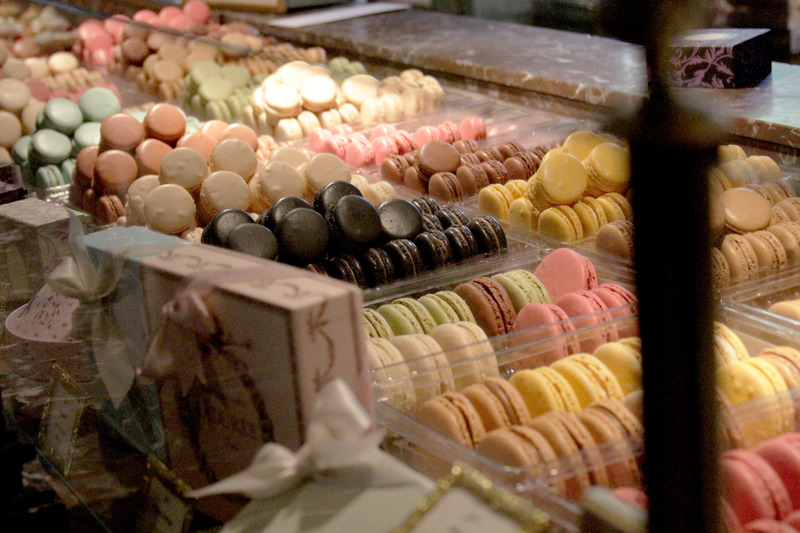 We wish we could bring back more of the amazing cuisine from our trip (particularly the bread which was consistently amazing), but delicious French macarons would have to do the trick. 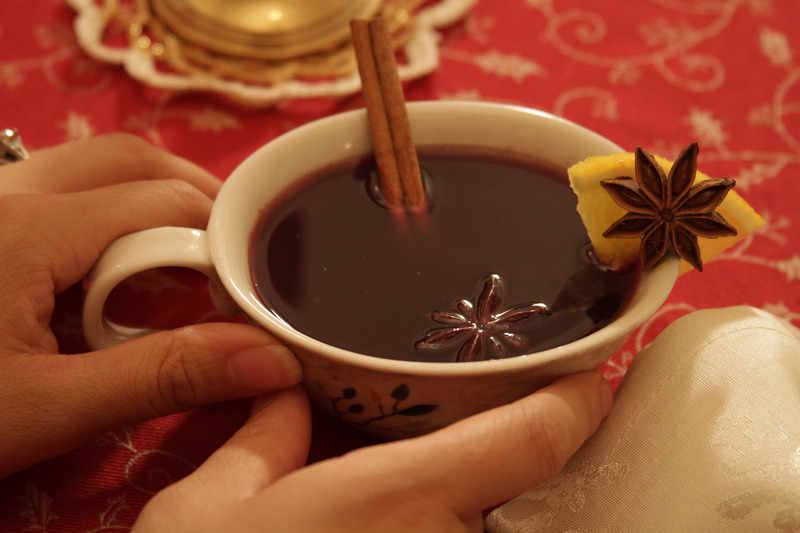 Mulled wine is a great post dinner beverage to enjoy over the holidays. 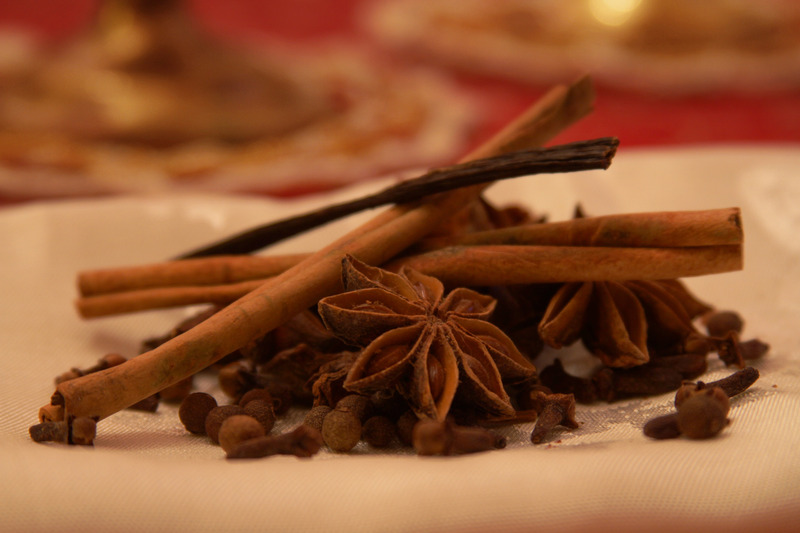 The various spices meddle together to create a smooth and warming drink, perfect for sipping on during chilly winter nights. Ingredients: 1 bottle of red wine (I used cabernet sauvignon), 3 star anise, 6 whole cloves, 3 whole allspice, 1 orange (zest and juice), 1/3 cup brandy, 2 large cinnamon sticks, 1/2 cup sugar, 1 vanilla bean with seeds removed. Instructions: Add all of the ingredients to a large pot and bring to a boil. Lower heat to medium high and simmer for at least 15 minutes. 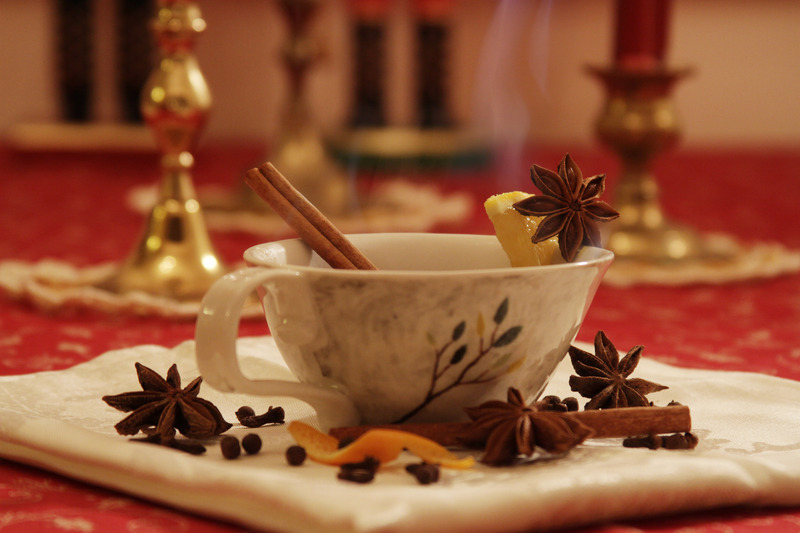 To make it more festive garnish, with cinnamon, star anise, and orange. 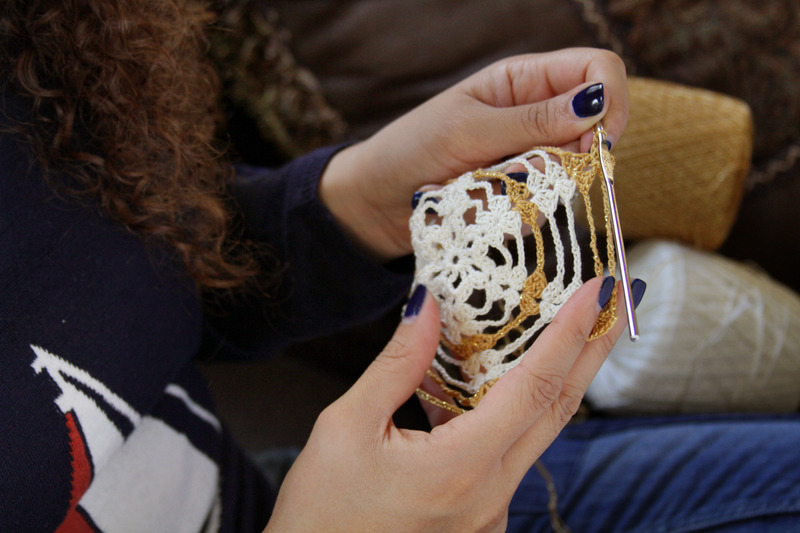 I have been crocheting since I was about ten years old. I have always found the craft calming, and love having a pretty new piece as the end result. Although my skills are no where near as competent as my mother’s, who continues to teach me new patterns and techniques, I thoroughly enjoy the process. 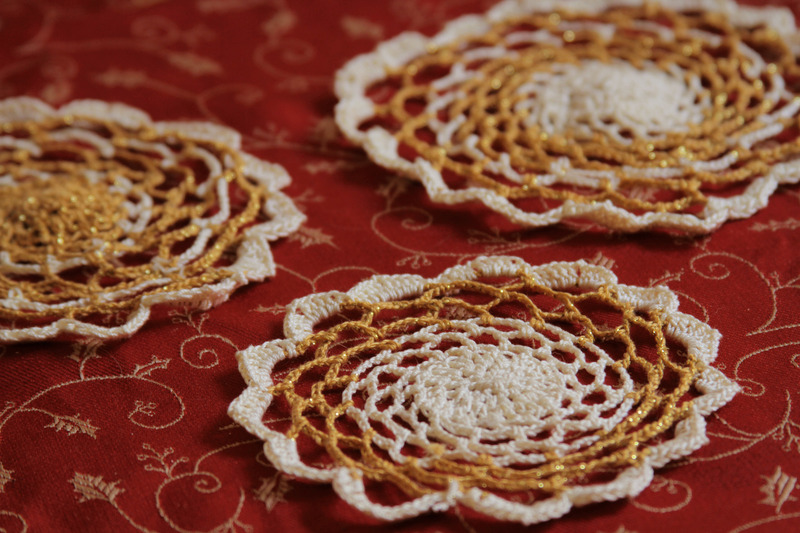 Over the years I have used crochet to make blankets, scarves, hats, and booties for friends and family, as well as doilies of different sizes and shapes for home decor. Once you have the basic needle handling skills down the possibilities are endless. I often use patterns found online to emulate or inspire me to create new things; or I simply start to create something and let my imagination lead the way. 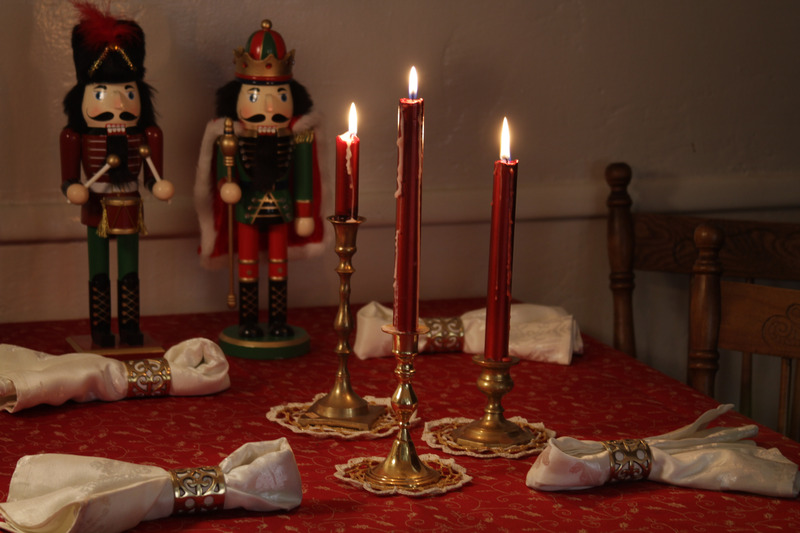 I made a few gold and ivory doilies for our Christmas table this year, and placed them underneath vintage candlestick holders. 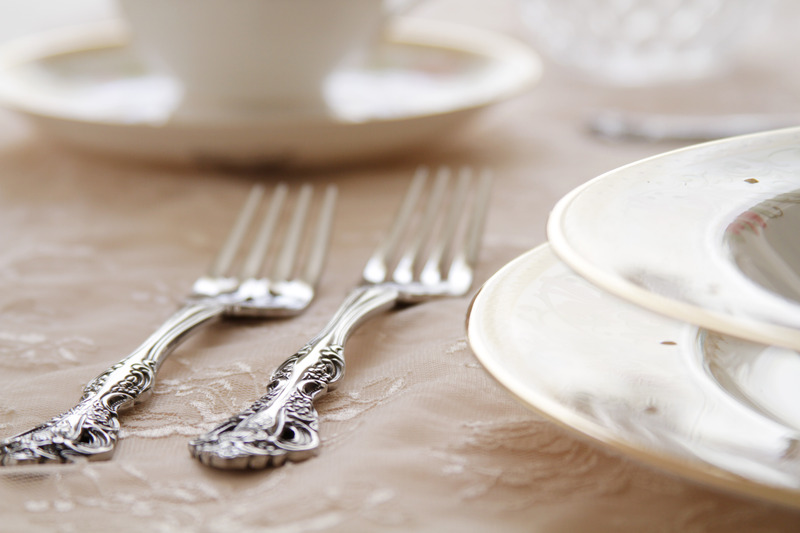 I love adding new delicate touches to our table set-up. 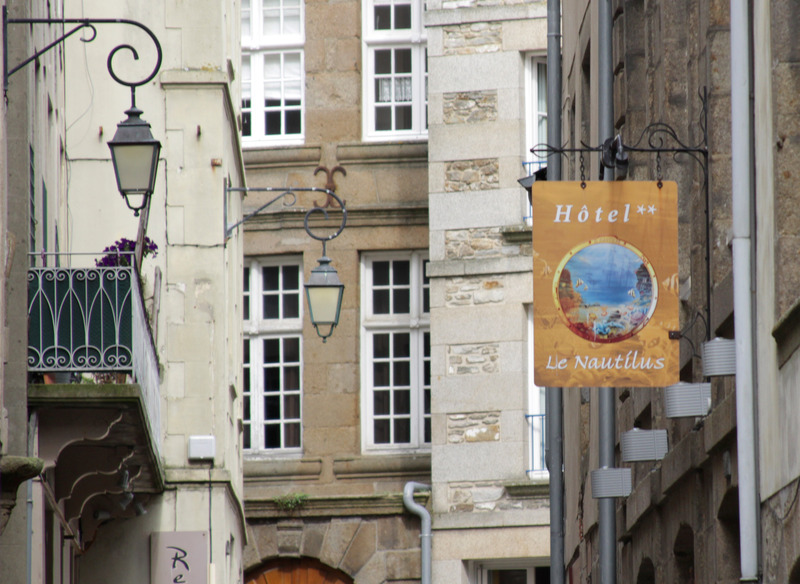 A big part of our honeymoon, and the planning phases before our trip, were the hotel choices. James and I take our time to choose hotels not just for their comfort and cleanliness, but also for their overall aesthetics. We enjoy the dedication placed into making guests feel at ease while they are away from home, while providing an elevated visual atmosphere. 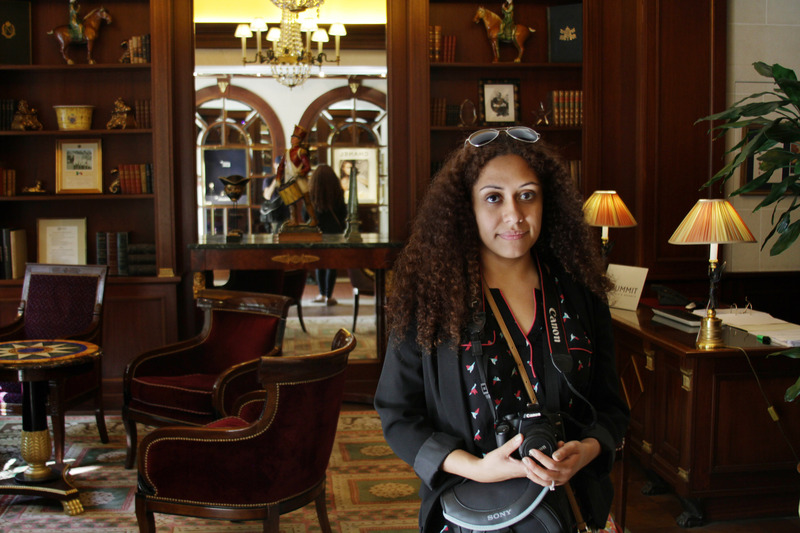 As we toured northern France we stayed at several different hotels, many of which are part of the prestigious Châteaux & Hôtels Collection. Here are some of our favorites. 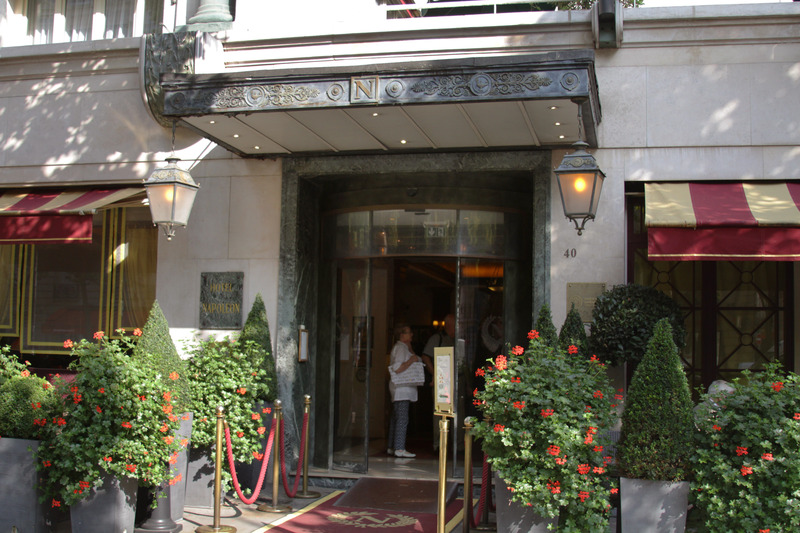 We spent our first night in Paris at Hôtel Napoléon, just a stone’s throw away from the Arc de Triomphe de l’Étoile. 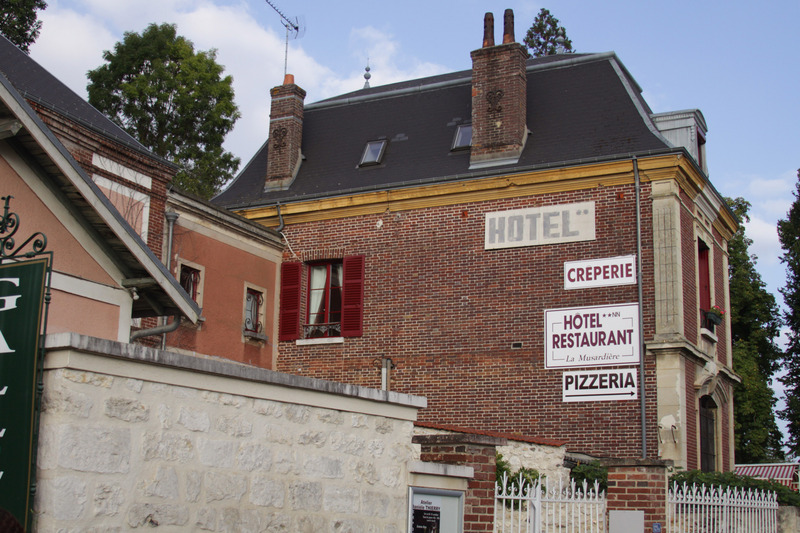 The hotel was given as wedding gift by a Russian entrepreneur to his Parisian bride, and it was the perfect place for the first night of our honeymoon. 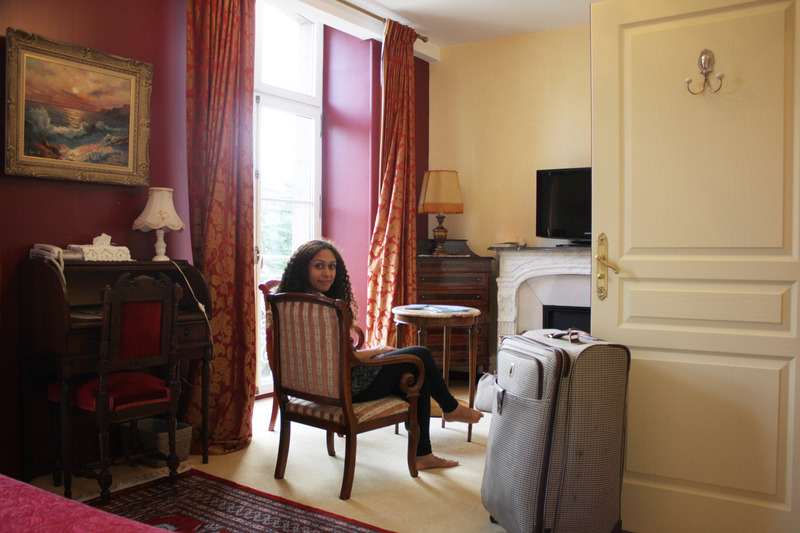 We had a wonderful view of the rooftops of the Avenue des Champs-Élysées from the top floor. 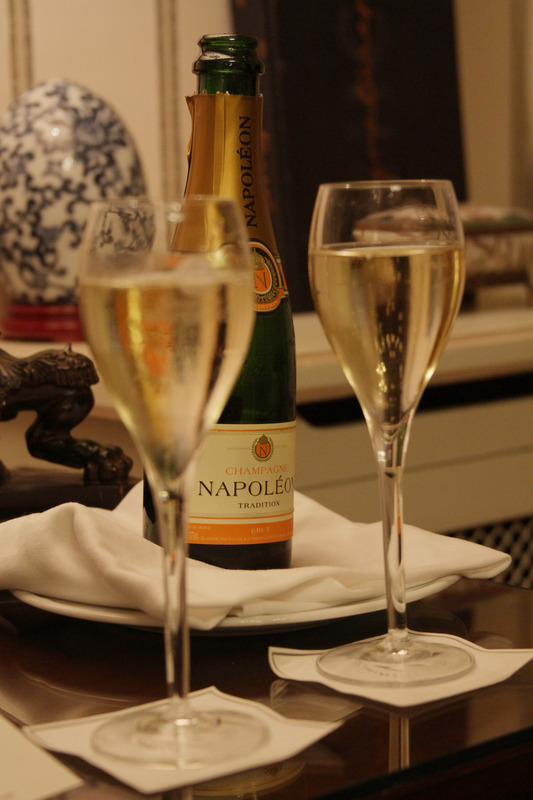 After a long day of walking around Paris, we came back to a bottle of Napoléon brand Champagne courtesy of the hotel waiting for us as a honeymoon surprise. 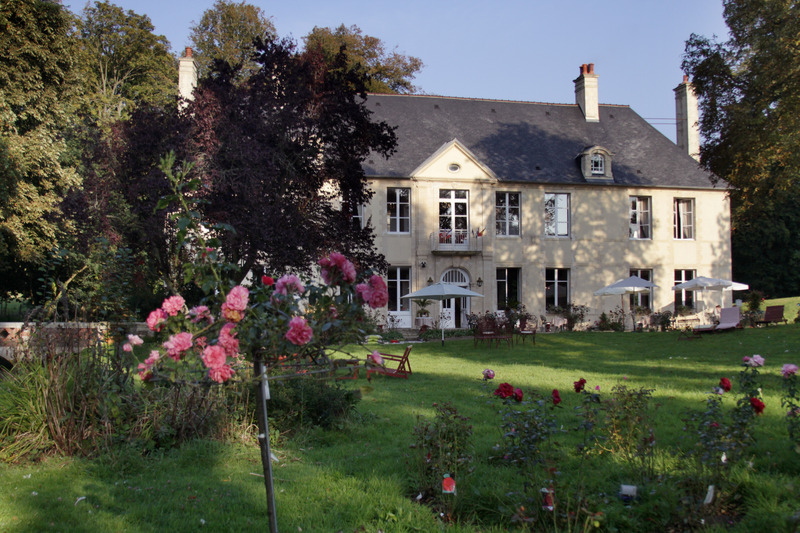 Giverny was probably the most calm and peaceful place that we visited, and our hotel there was no exception. 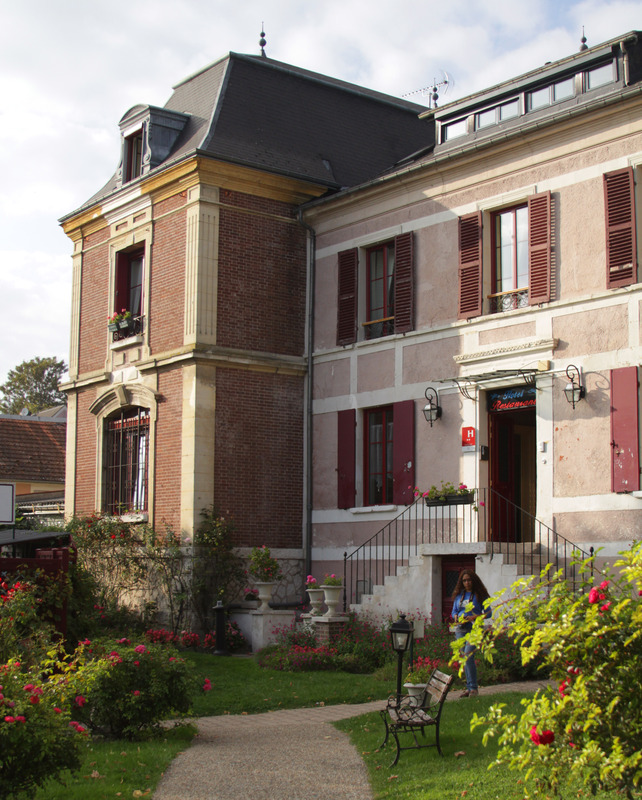 Hôtel Restaurant La Musardière dates back to a time when Monet lived in Giverny. 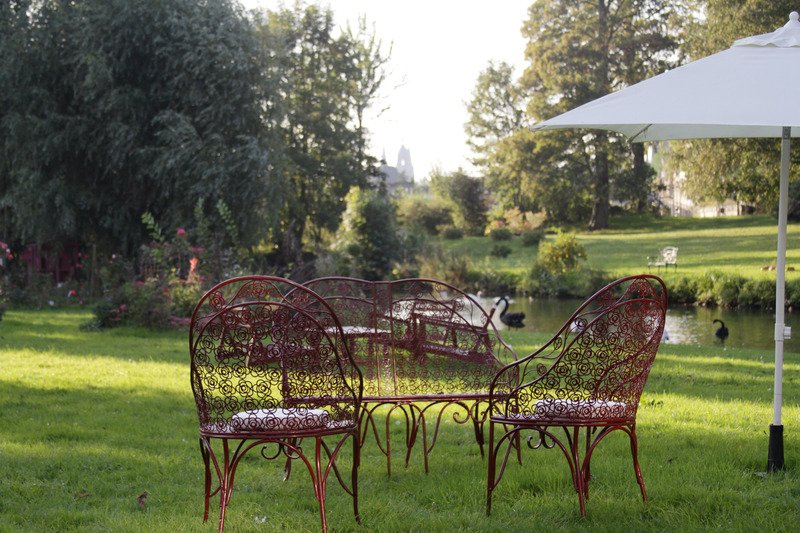 There is a restaurant with outdoor seating right at the front of the hotel where you can dine while enjoying the pastoral views. Just outside of the center of Bayeux lies Château Hôtel de Bellefontaine. 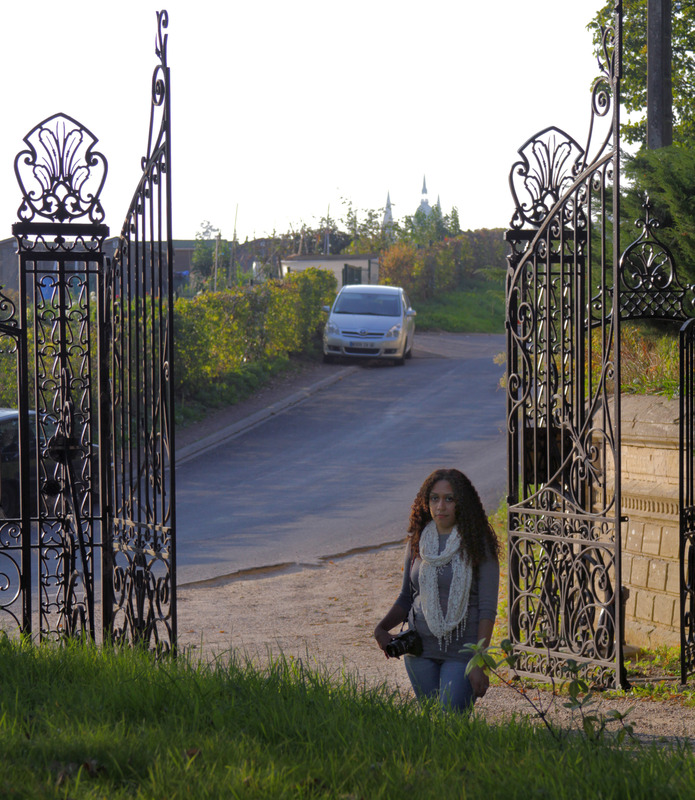 After driving through the gates, we came upon the 18th century château surrounded by gardens and a pond filled with black swans. While sitting in the gardens, we could just barely make out the top of the cathedral on the horizon. 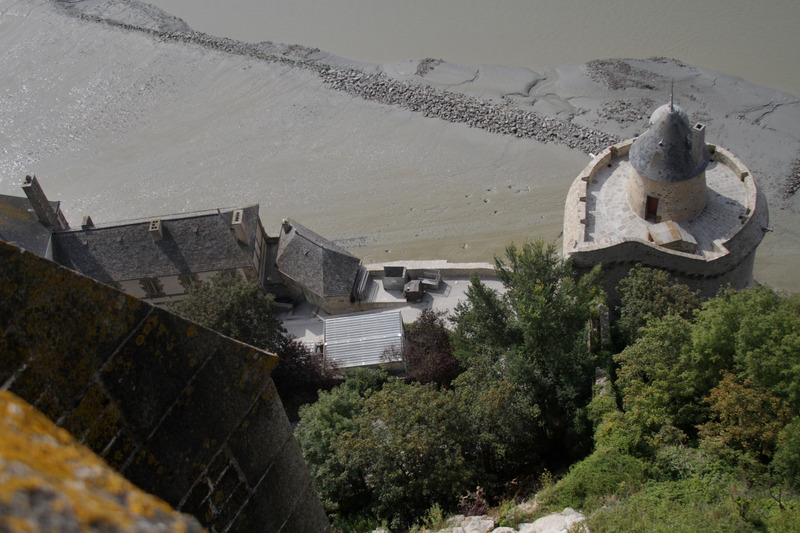 We spent a night at Le Mont Saint-Michel at the foot of the abbey in the Auberge Le Mouton Blanc. 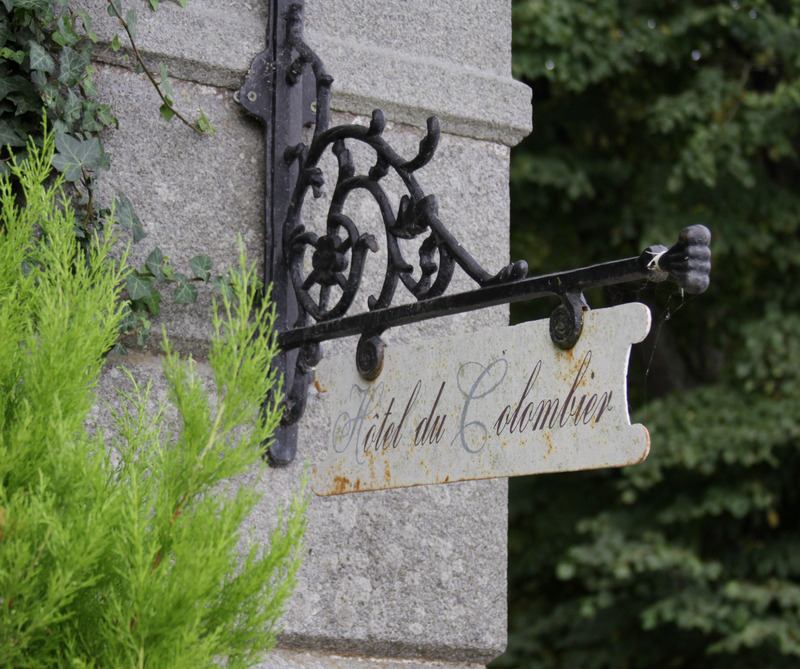 Like the rest of the historic site, our 14th century hotel felt like something straight out of a fairy tale. 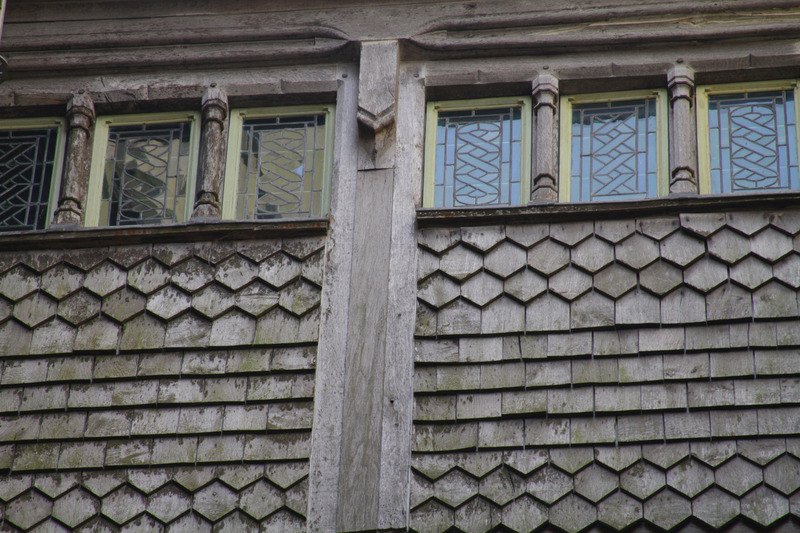 From our second story room, we could open the latticed casement windows to peer down upon the crowds walking the narrow streets. 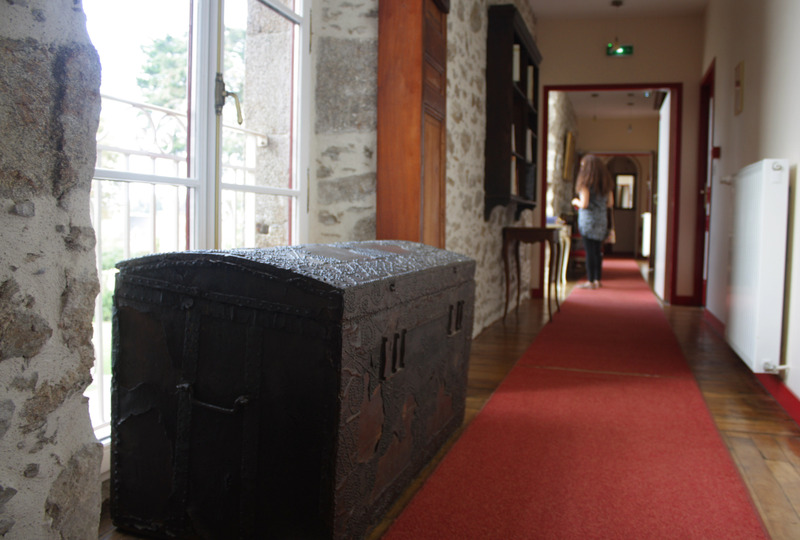 Our hotel in Saint-Malo, Château Hôtel Du Colombier, felt very similar to Château Hôtel de Bellefontaine in Bayeux. 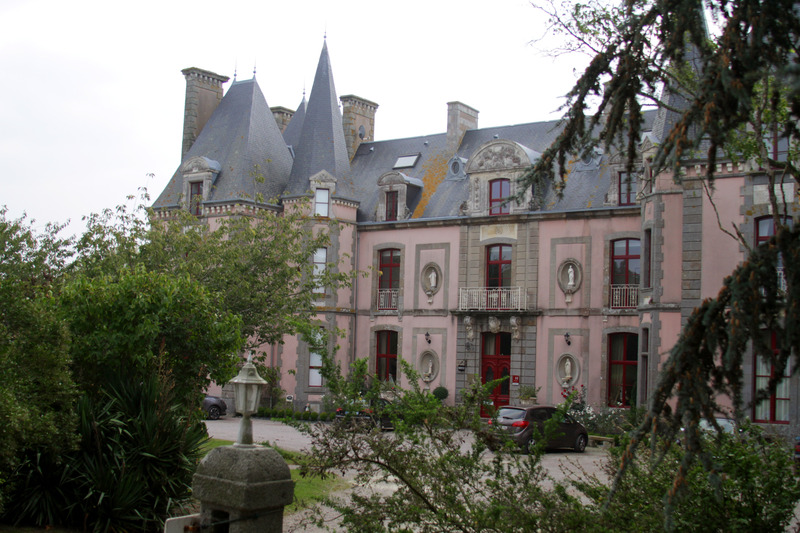 This particular château was built by a ship’s manager of the East India Company. 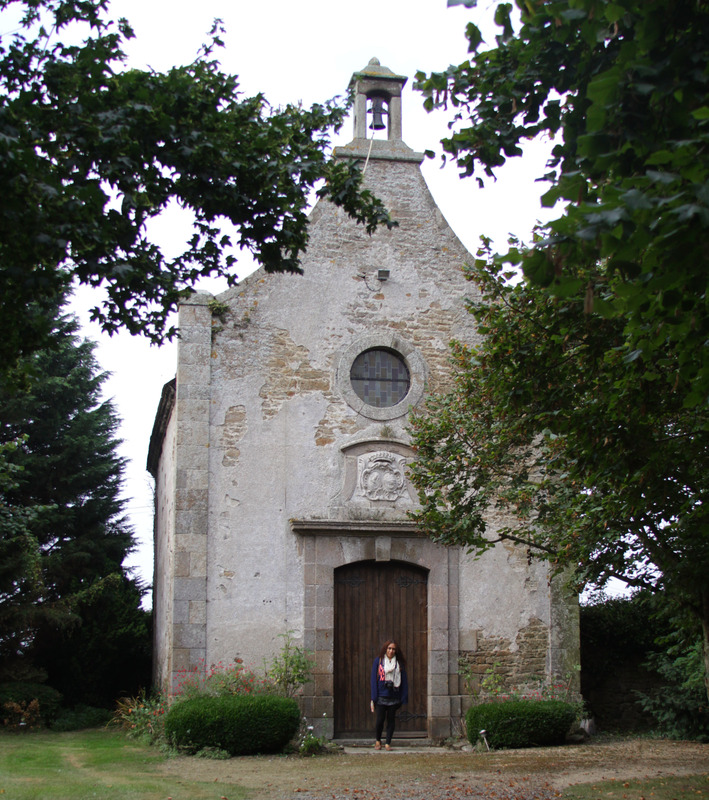 We walked around the grounds and found a chapel, as well as some goats in a pen around the property. 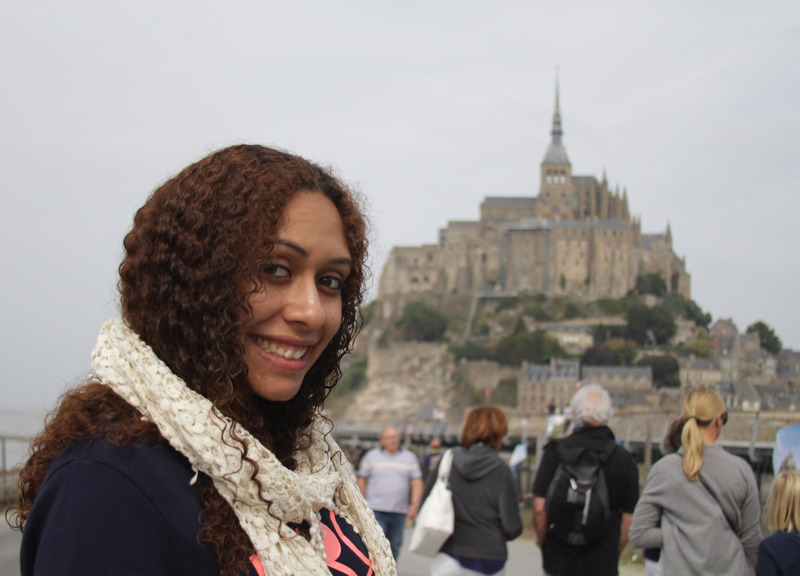 Our accommodations added a whole other level of romance to our fairy tale honeymoon. 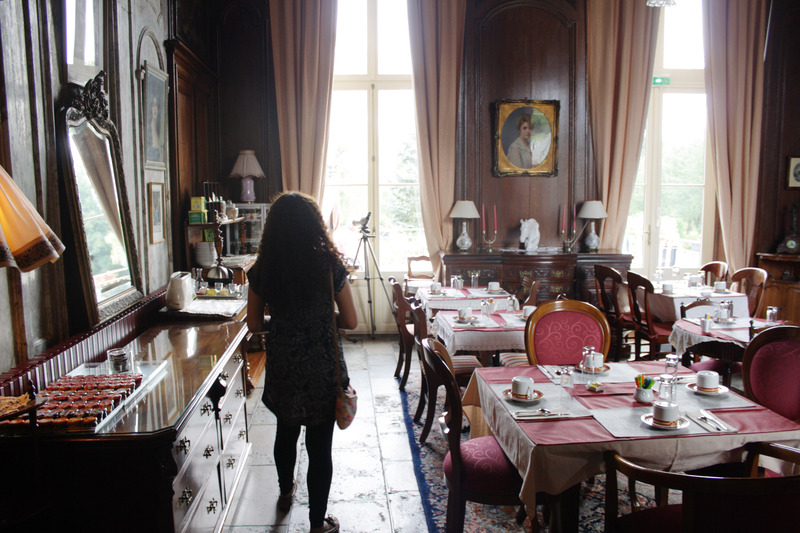 From the most lavish to the quietest, we found relief in calling these hotels our temporary homes, if only for small glimpses of time for each. 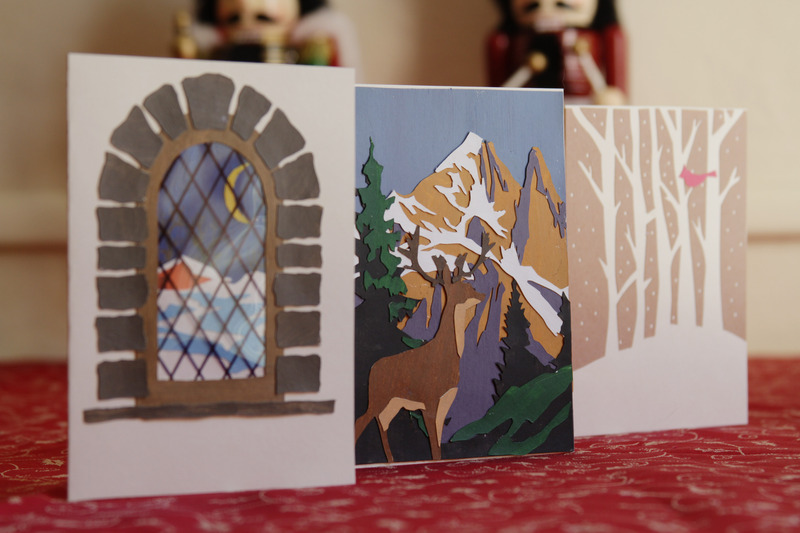 For the past two years James and I have created handmade Christmas cards for our loved ones. 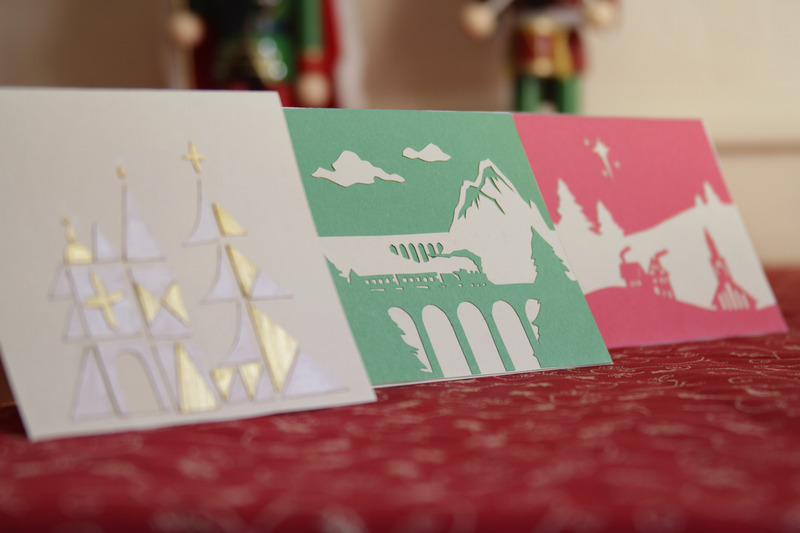 This year we decided to take a different approach to the craft by using layers of paper cut-outs as our base. 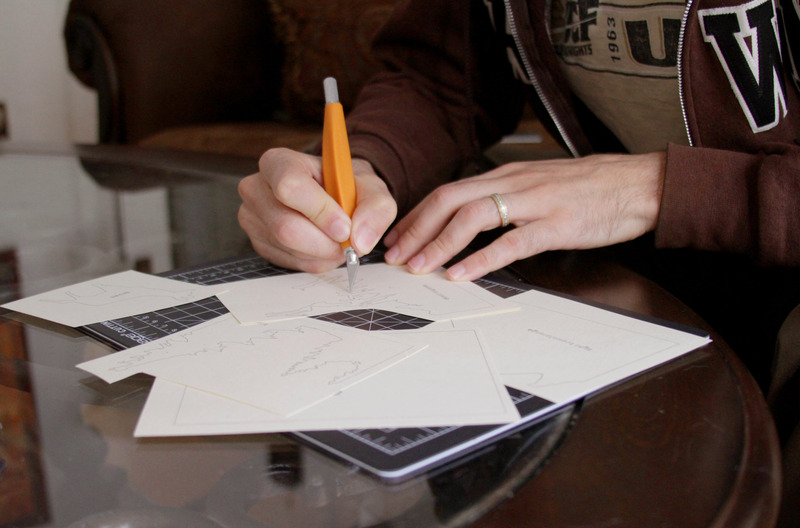 For the more complex designs, we first created them digitally, and then printed out guides for cutting each color. 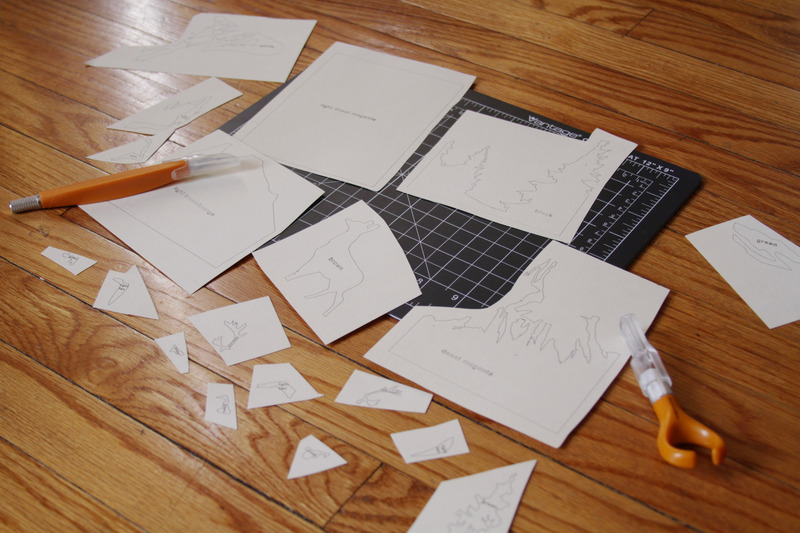 Each layer was cut out very carefully. 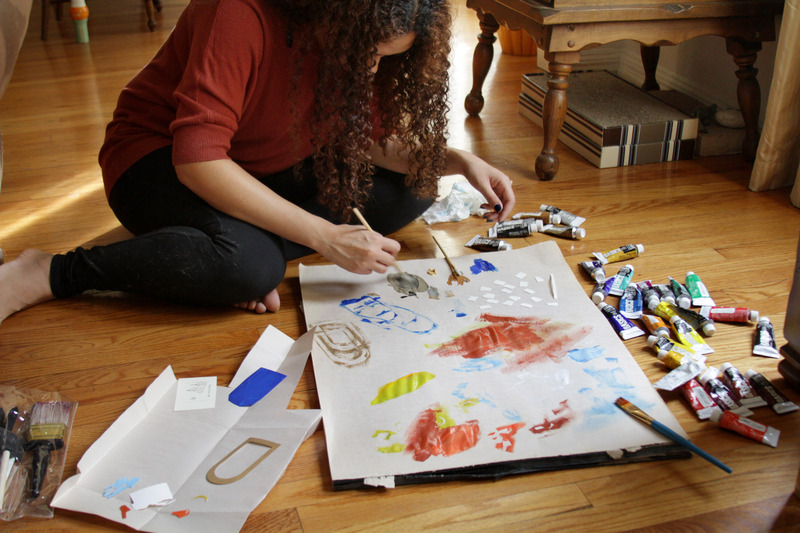 For some of the cards we used colored construction paper, but for those with a more dynamic color palette, we painted each piece individually by mixing acrylic paints. 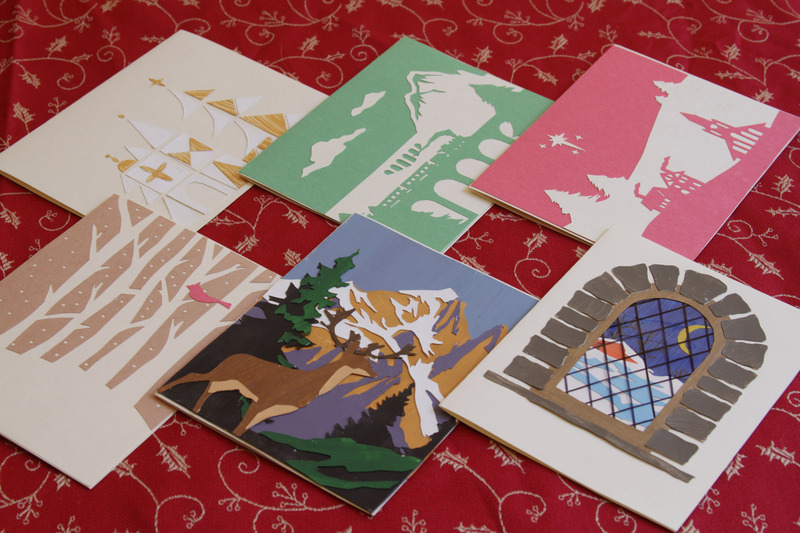 Once we had each paper layer complete we assembled and glued them together. Each card is unique, and we had a lot of fun coming up with the different designs. The best part is knowing they will each bring a smile to our loved ones this Christmas season. 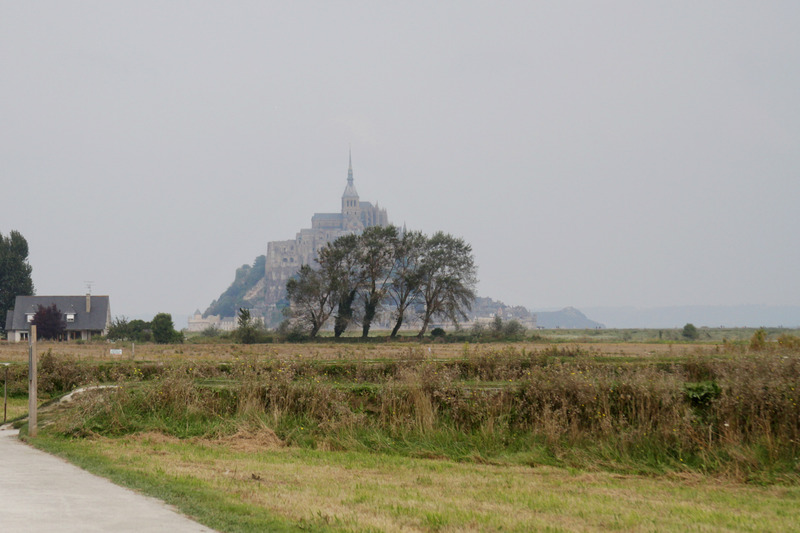 We left Normandie and drove into Bretagne towards our final destination before heading back to Paris for the remainder of our honeymoon. 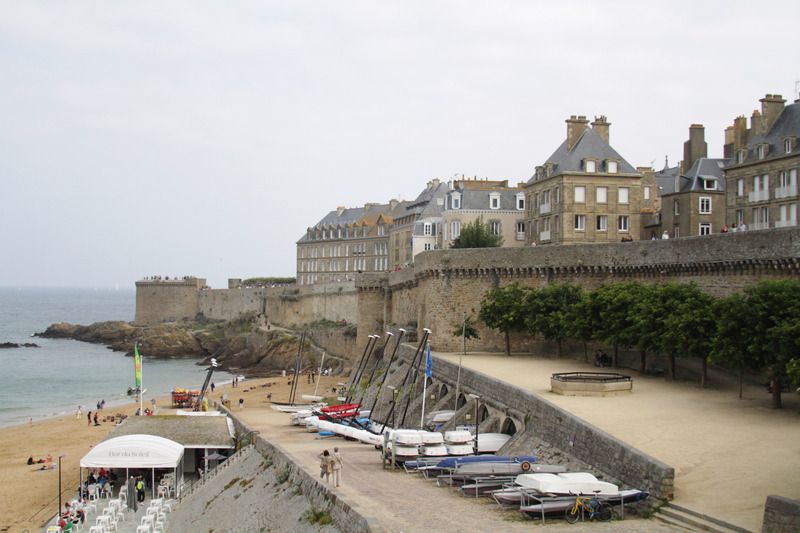 I was very eager to visit the little walled city of Saint-Malo, a world distant from all that is outside of it, yet open to the vast waters of the English Channel resting against it. 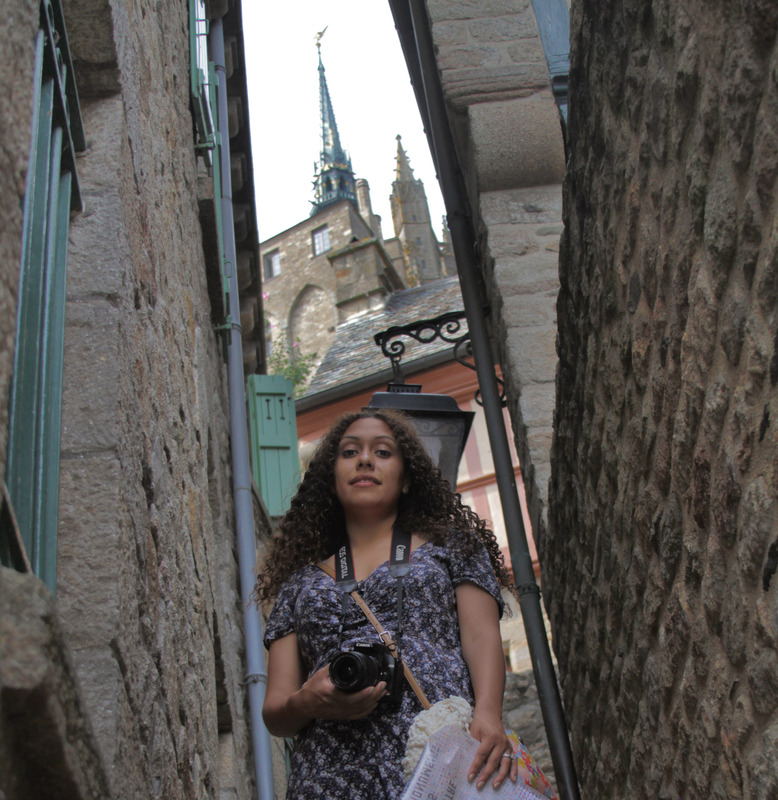 Walking through La Ville Intra-Muros reminded us so much of our recent trip to Québec. There are quite a few references to Québec throughout the city. 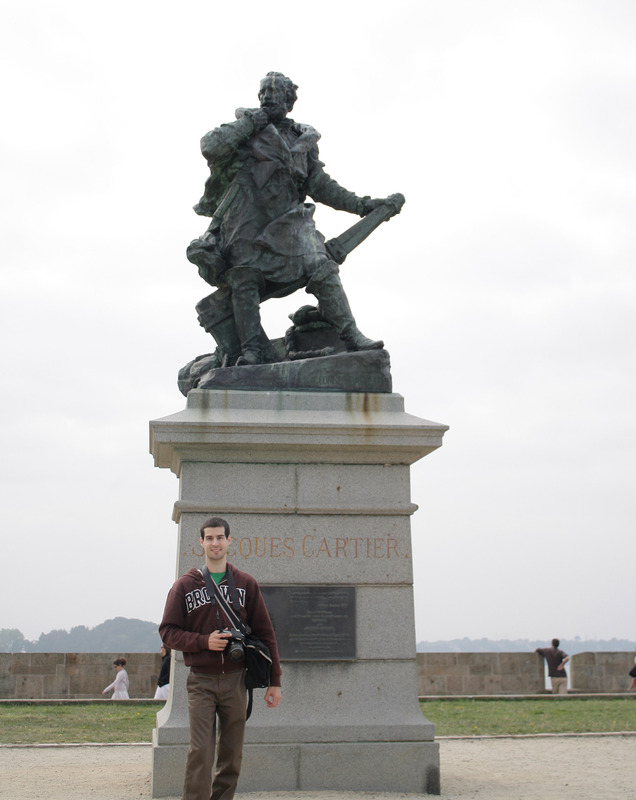 Here is a statue of Saint-Malo native Jacques Cartier, who set sail from the city to claim Canada for France. James did a report on Cartier when he was in elementary school. 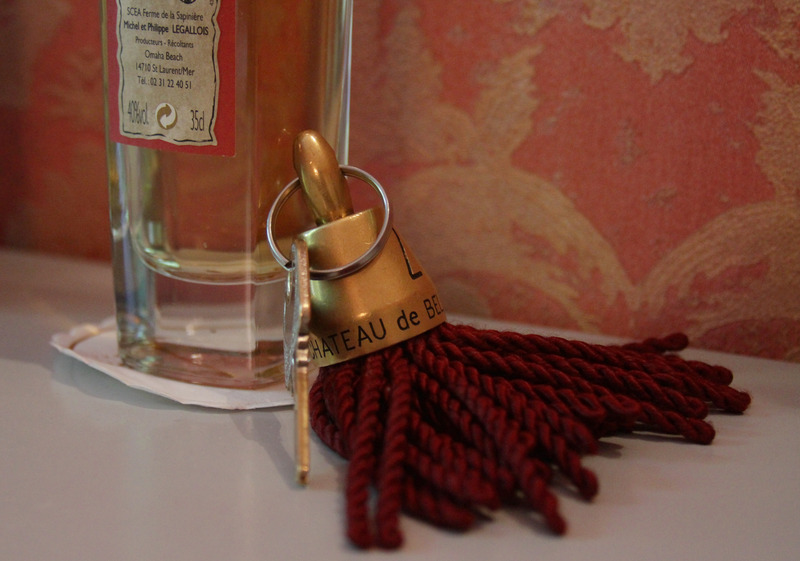 We tried to go to the bar at the Jules Verne themed Hôtel Le Nautilus, but it was for hotel guests only. 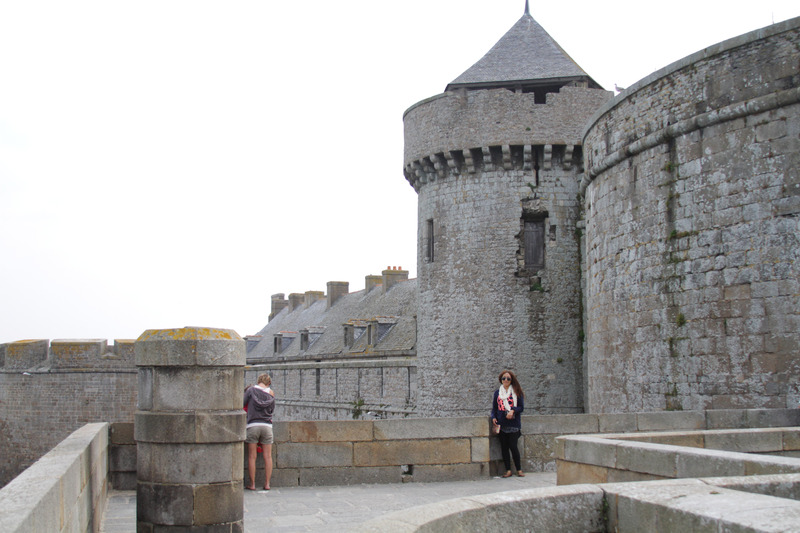 We walked along the ramparts that encircle the old city, looking down upon the people filtering through the city gates. 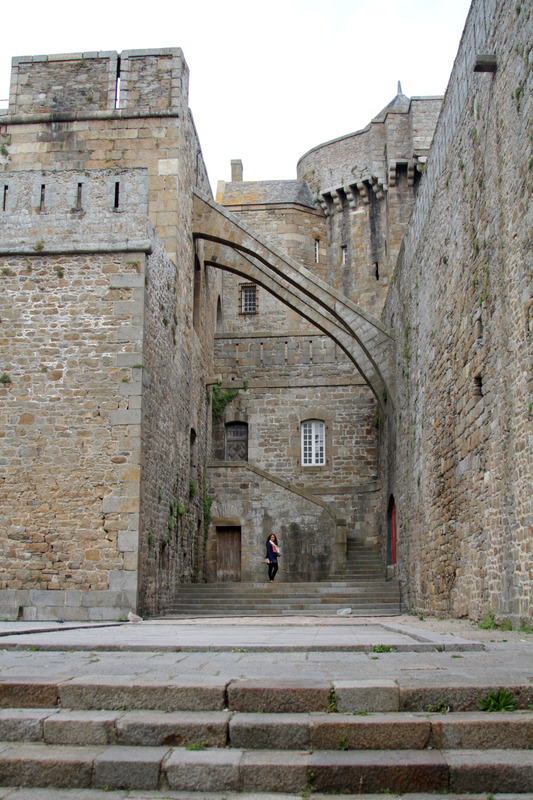 The ramparts culminate at the Château de Saint-Malo. 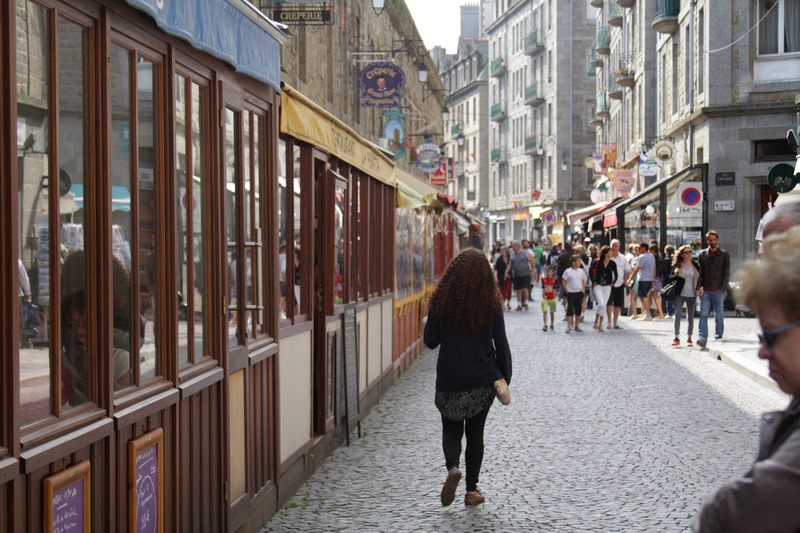 Its difficult to believe that the city was mostly destroyed during the Second World War. 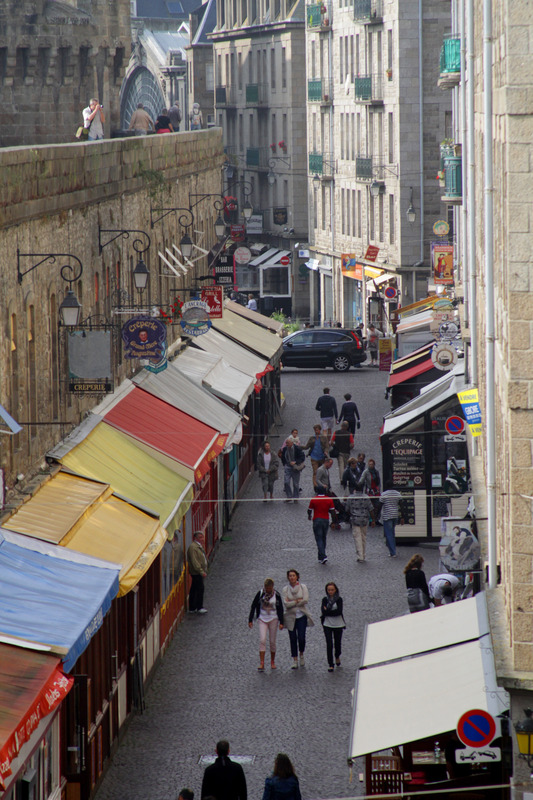 The extensive restoration has done such a wonderful job of maintaining the character of the original city. 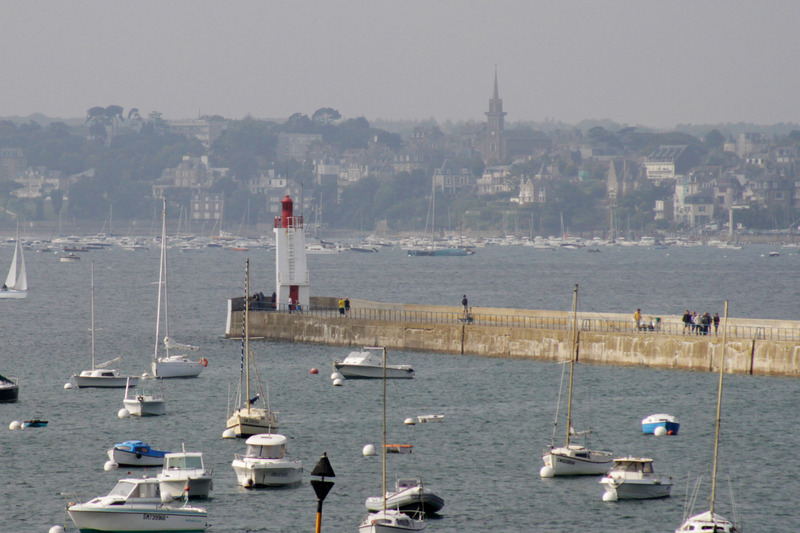 The sight of boats bobbing in the water fondly reminded me of New England views. 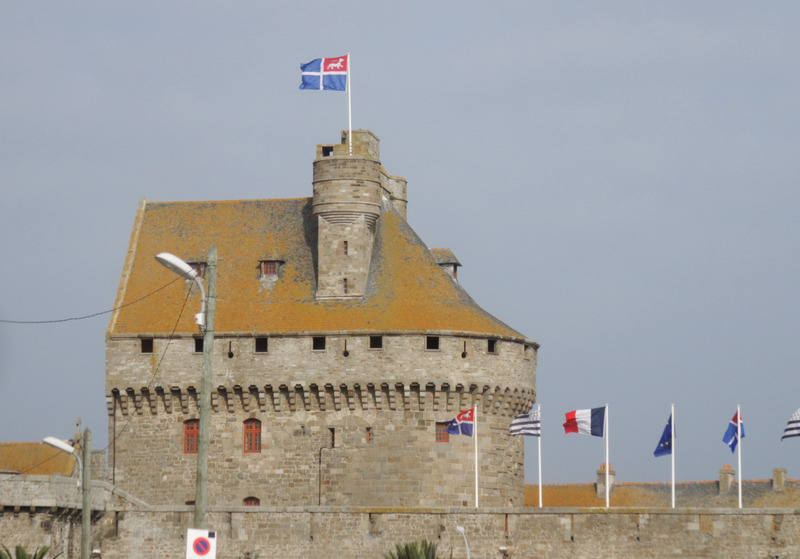 The Feu Du Môle lighthouse and a small fort on the island of Petit Bé can be seen from the walled city. 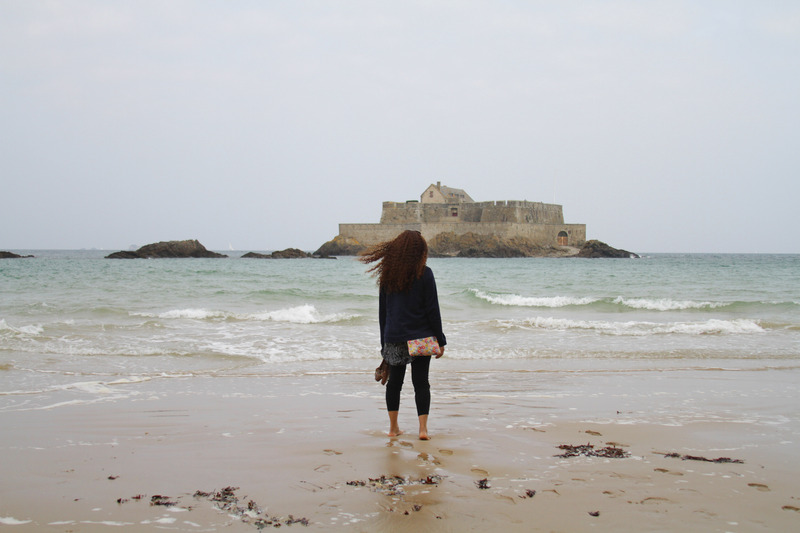 We walked down to the beach and I waded into the English Channel. That’s Fort National behind me on a tidal island. 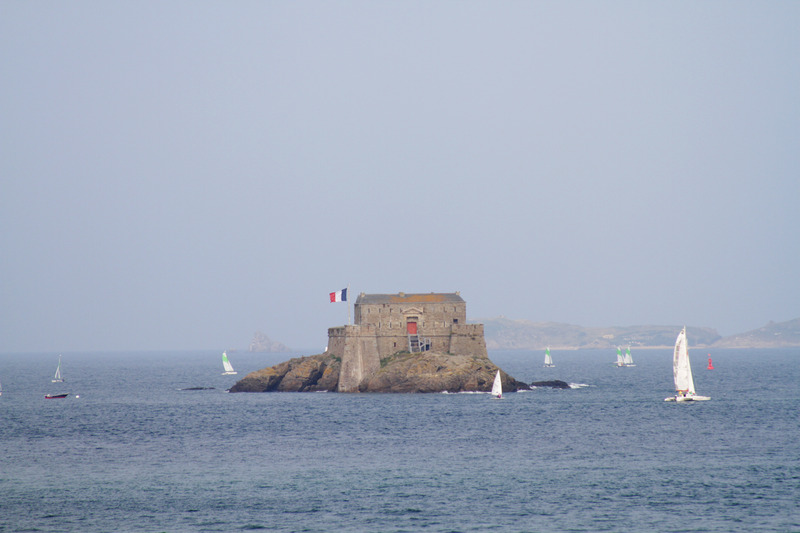 We were very glad to end our tour of northern France with Saint-Malo; touching the water felt conclusive and satisfying. 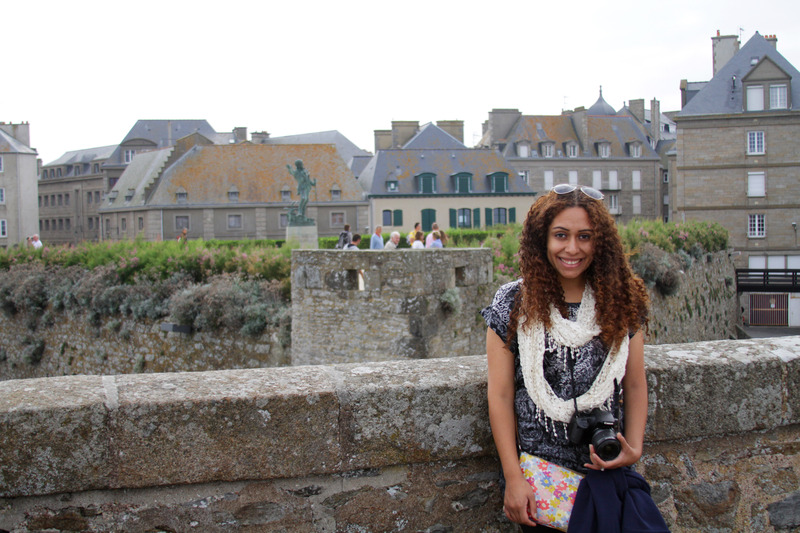 We enjoyed every bit of our honeymoon, and although we were ready to return home by the end, I can already tell we will forever feel nostalgic for all of our adventures in France. As the weather continues to get chillier I have been thinking up comforting treats to bake at home. Now that we have a stand mixer, that task has become even more exciting. Recently, James and I decided to try out pretzel making for the first time. The results were absolutely delicious and the process was both fascinating and a lot of fun. I found a basic recipe online, and made just a couple of tweaks to the process. In a bowl mix the 2 1/2 cups of flour and 2 teaspoons of salt, set aside. In a small saucepan heat milk until it begins to simmer then turn off and let cool for a few minutes. Add yeast and honey to milk and stir until fully incorporated. In the bowl of a stand mixer fitted with the paddle attachment add half of the milk and half of the flour mixture, stir with a wooden spoon to fully meld together. Then add the remaining flour and milk, and mix with paddle attachment for about five minutes. Once the dough is fully mixed switch to the bread hook attachment and knead on medium speed for about ten minutes. Add the olive oil to a large bowl and swish around to spread it out. Form a ball with the dough and add to bowl, cover and let sit for 1 1/2 hours. Meanwhile, preheat the oven to 450F. If you have a baking stone (or in our case a clay baking dish) place in oven while it heats up. Once the dough is ready, separate into twelve equal sized pieces. 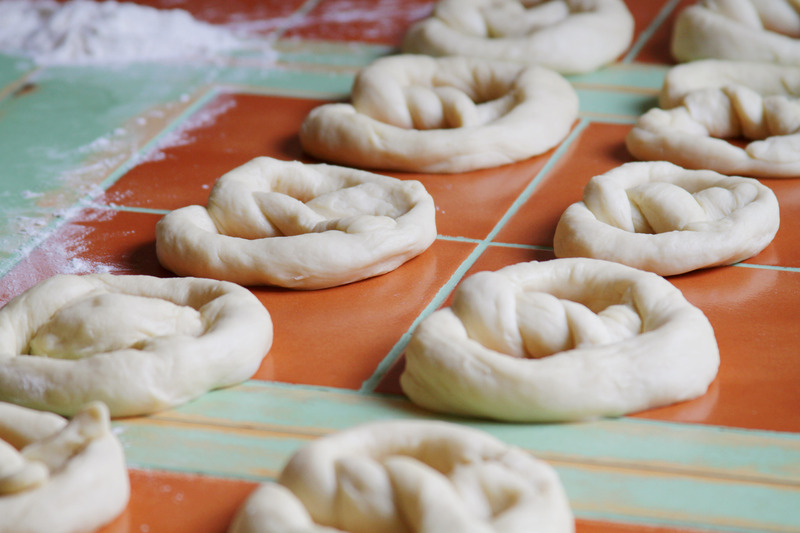 Roll the dough out into long strands and twist to form the pretzel shape. While you are twisting, bring a pot of water with the baking soda and tablespoon of salt to a boil. Gently place the pretzels (up to two at a time) in the water, flipping them over after twenty seconds. You will notice that the pretzels float once they are ready to be taken out. Place them on a rack to dry for a couple of minutes. In a bowl whisk together the egg yolk and 2 tablespoons of milk. 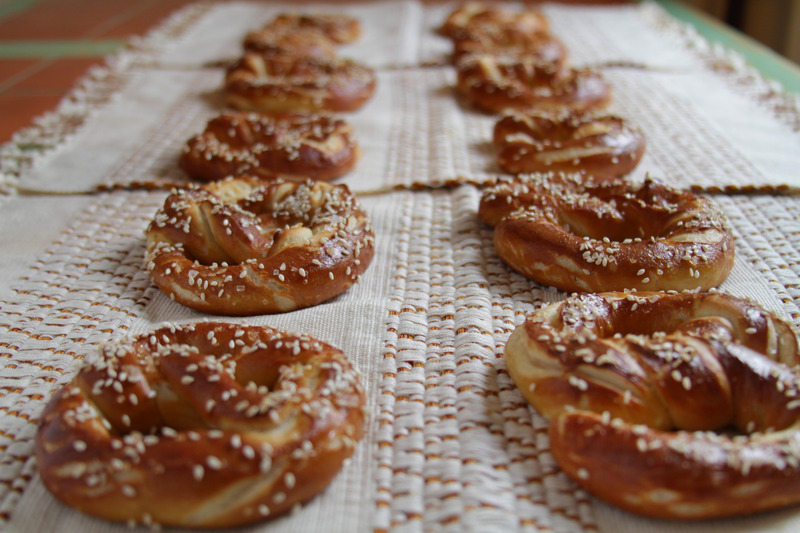 Brush each pretzel with the yolk mixture and top off with desired amount of sesame seeds and coarse sea salt. 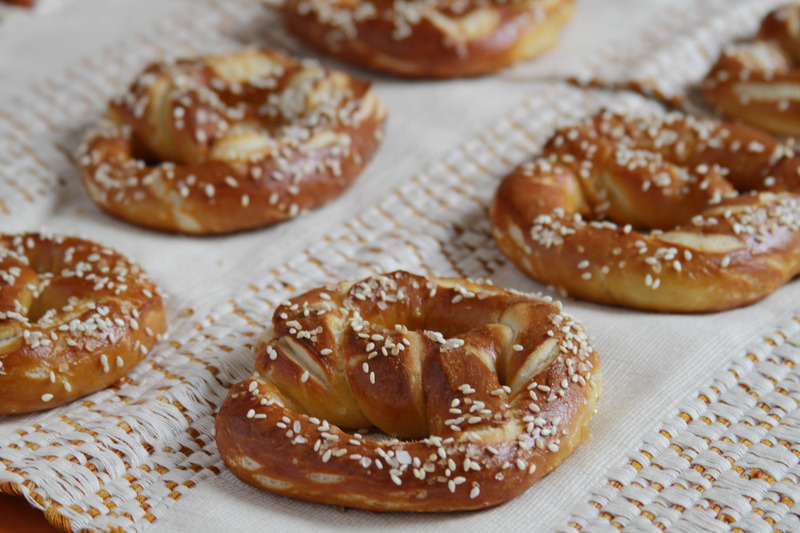 Place pretzels on a baking sheet with a piece of parchment paper underneath and put in oven over the baking stone. Bake for 8 – 10 minutes, until pretzels and golden. Dip in your favorite mustard and enjoy! When filling out our wedding registry, James and I opted for gifts that would either replace pieces that we already owned (dinner plates, old pots and pans, etc.) or pieces that we had been wanting for a while, but had not had the opportunity to purchase ourselves. Here is just a sampling of gifts that we received from our generous friends and family that we look forward to incorporating into our daily kitchen and home functionality. Perhaps the biggest surprise came when we received our stand mixer. Out of all the items on our registry the stand mixer was (not so) secretly the piece that I was hoping for the most. Lucky for me, I have fantastic close friends who pitched in together to make this little dream come true. I have already used it a handful of times and have found that it certainly lives up to all of my expectations and has greatly improved my baking experiences. Cookware was another category that I was very excited for. I had been using an older set for most of my cooking, so replacing it with new items was a welcome change. 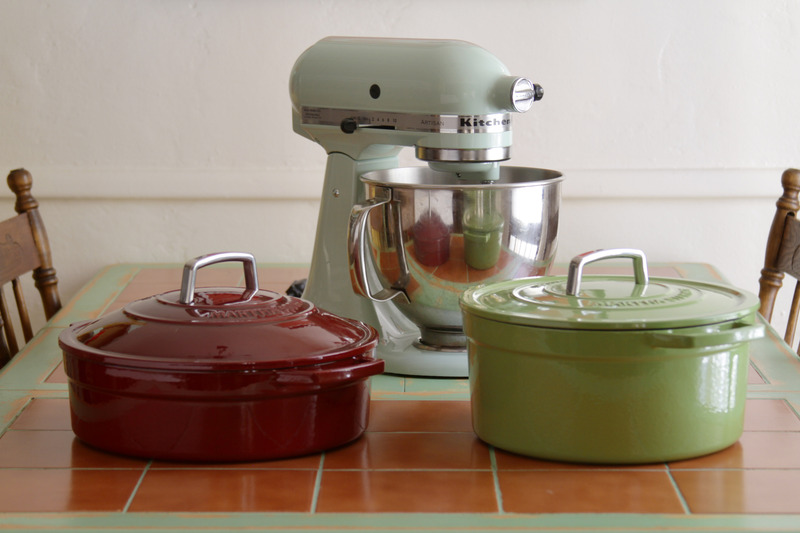 We received some wonderful cookware pieces with copper bottoms from a couple of our close friends, and these dutch ovens from family members. 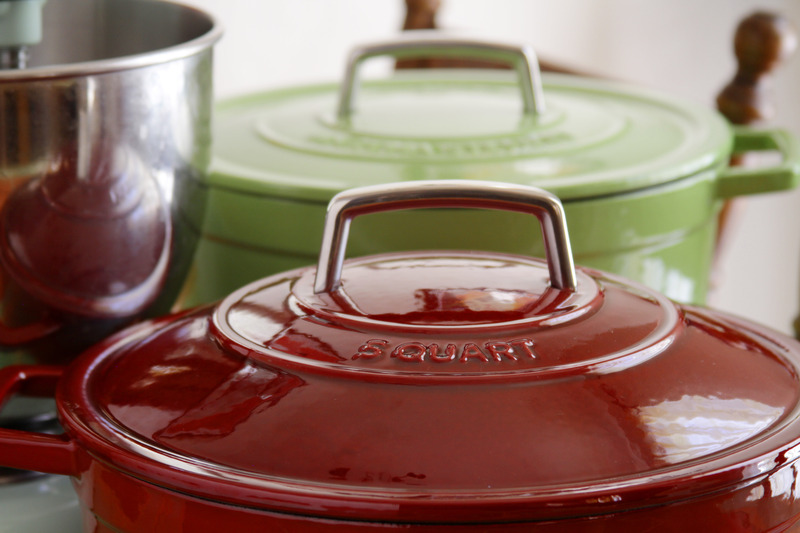 My mother has always used dutch ovens in her cooking, and I am eager to make some of her recipes this winter. 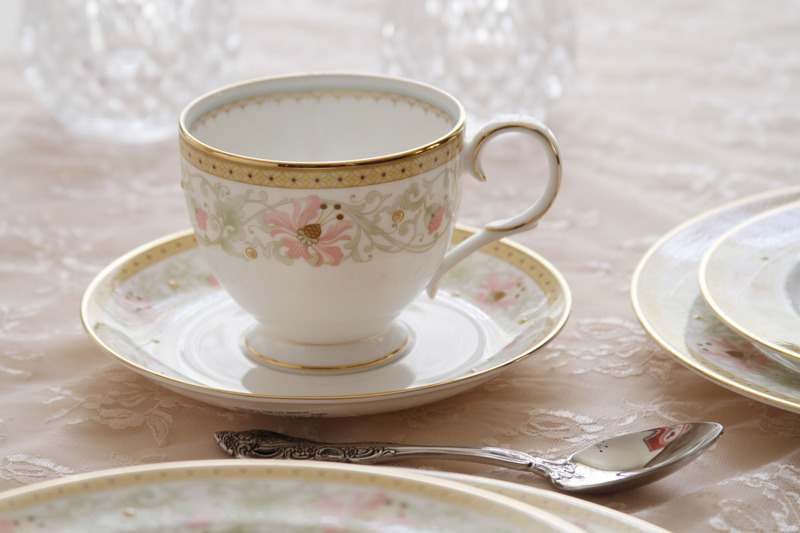 Another item at the top of our list was our wedding china. 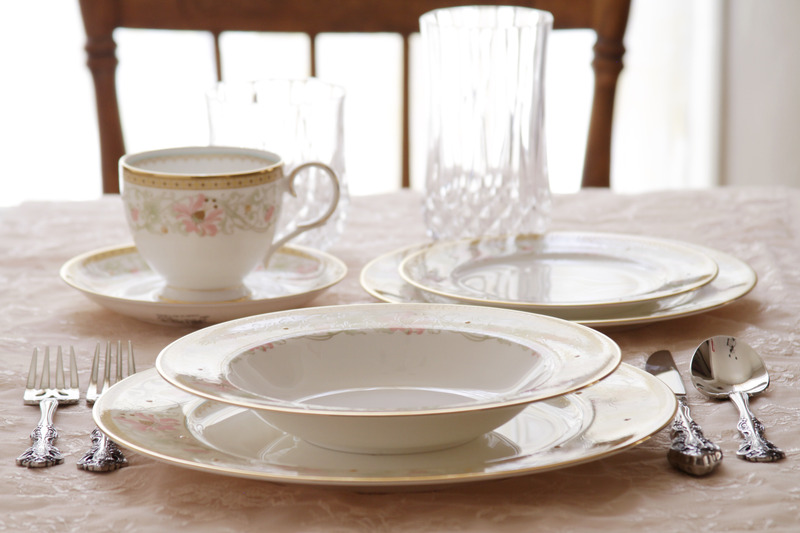 We previously did not have any entire sets of dishes, and this china fit the bill perfectly. 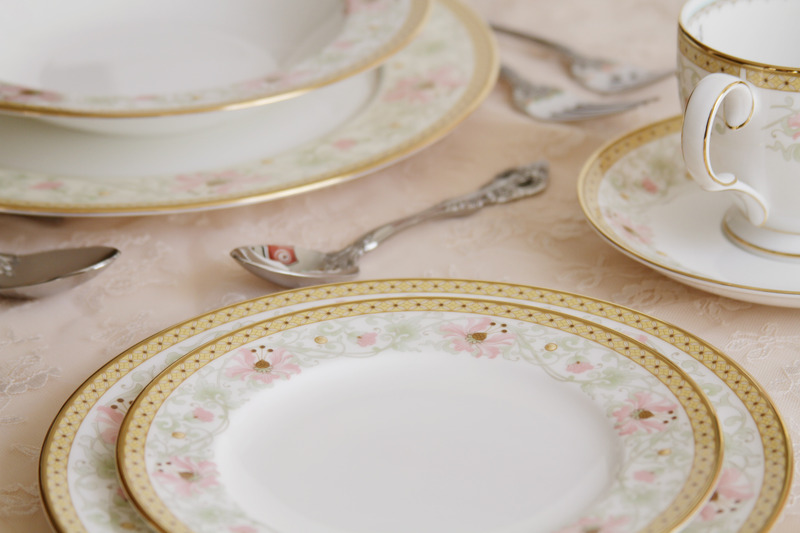 The gold and blush tones remind us of our wedding colors, while the delicate details speak to our aesthetic preferences. 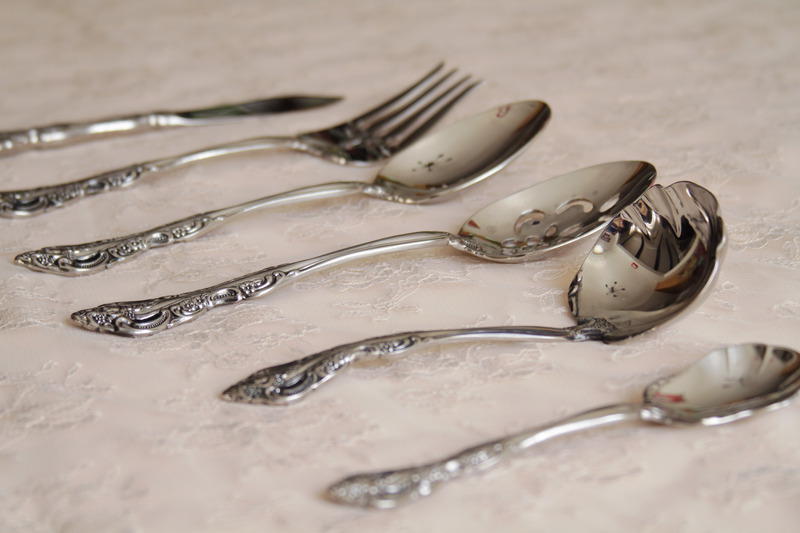 To compliment our wedding china we chose this beautiful line of silverware. 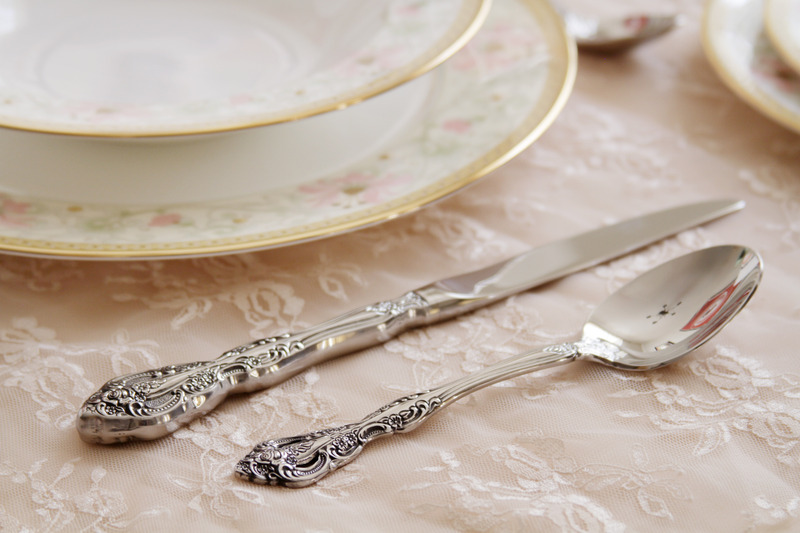 Our hostess set is part of the same collection as our silverware, tying all of the pieces together for curating lovely dinners. 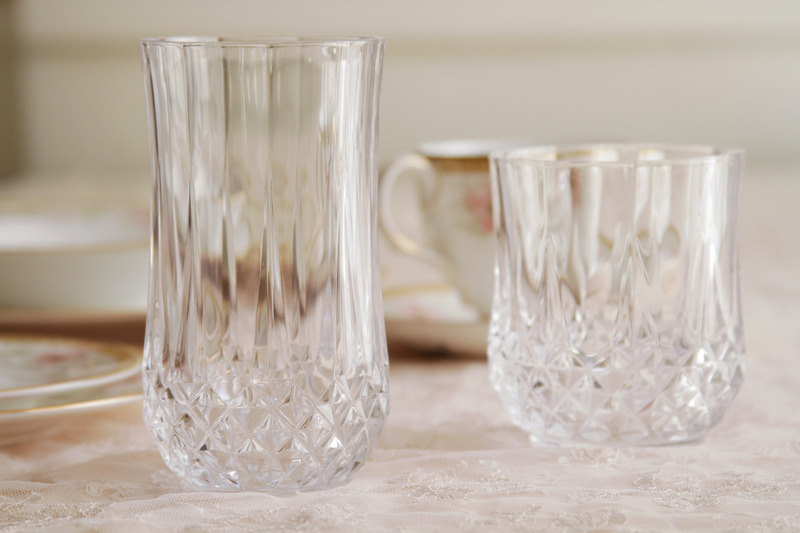 We picked out two different sets of crystal glasses that would both harmonize with our wedding china and be useful for different types of beverages. 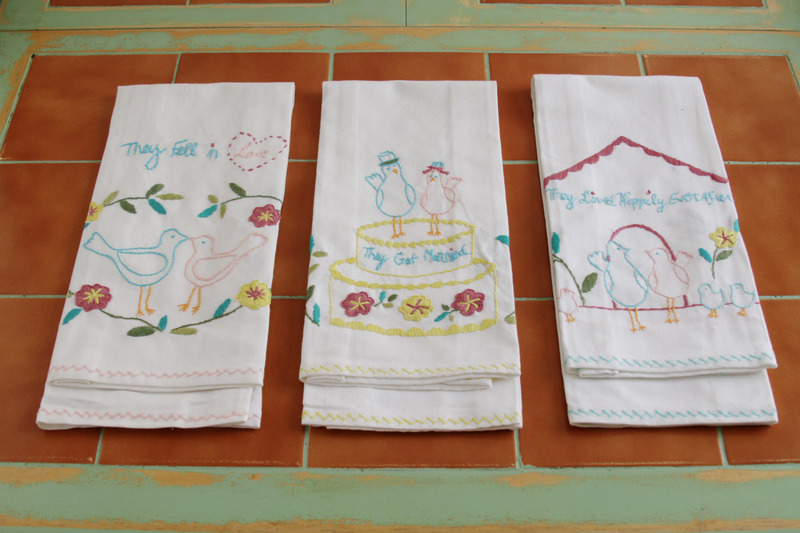 These napkins were an unexpected surprise from my brother and sister in law that fit ideally into our home. The color scheme matches our kitchen, and the theme is perfect for displaying in our home now that we are newlyweds. We loved every gift that we received from our wedding, and are excited to finally have some key pieces in our home to use for many years to come. 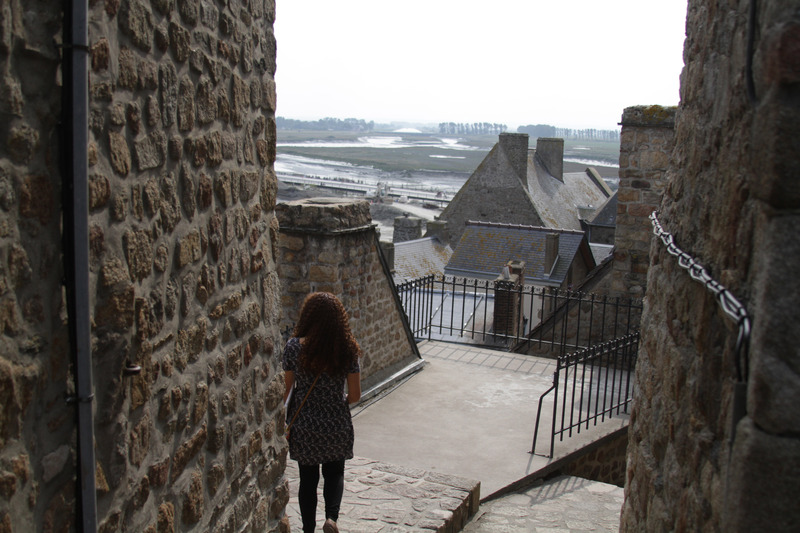 Our final stop in Basse-Normandie was Le Mont Saint-Michel. This was the destination that James and I were the most excited to visit. I had been there for part of the day during my school trip ten years ago and longed to go back and spend more time on the enchanting island. James had fantasized about visiting for many years, and insisted that we stay the night on the actual rock which was absolutely perfect. No cars are allowed on the mount, so we took a shuttle bus from the mainland across a newly built bridge. The old causeway was still in the process of being demolished. 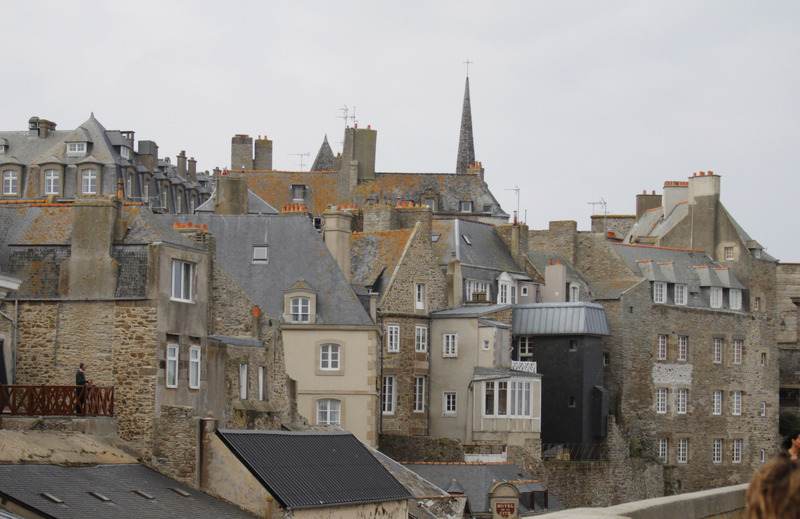 The town really feels like a fairy tale village with heavy stone walls and half-timbered houses leading up to the imposing structure of the abbey at the top of the mount. 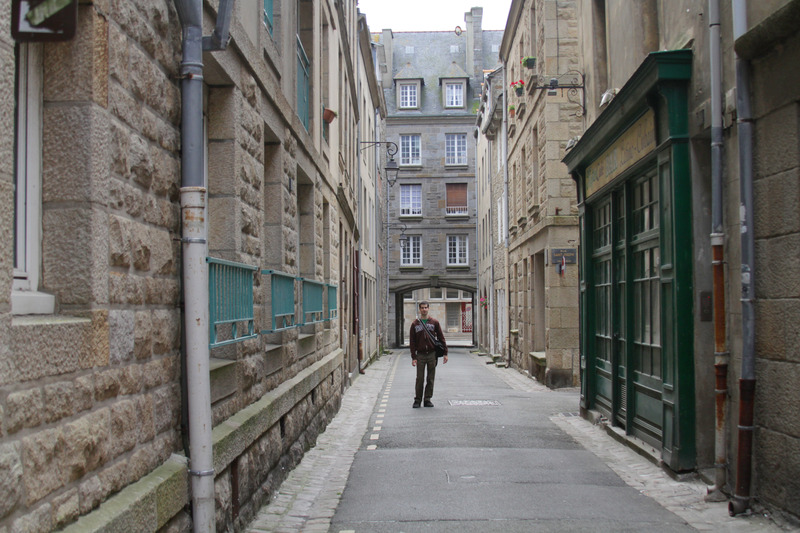 The extremely narrow streets keep a sense of mystery. Who knows what you’ll discover around the next bend? All of the shops and restaurants have colorful painted signs hanging over their entrances. 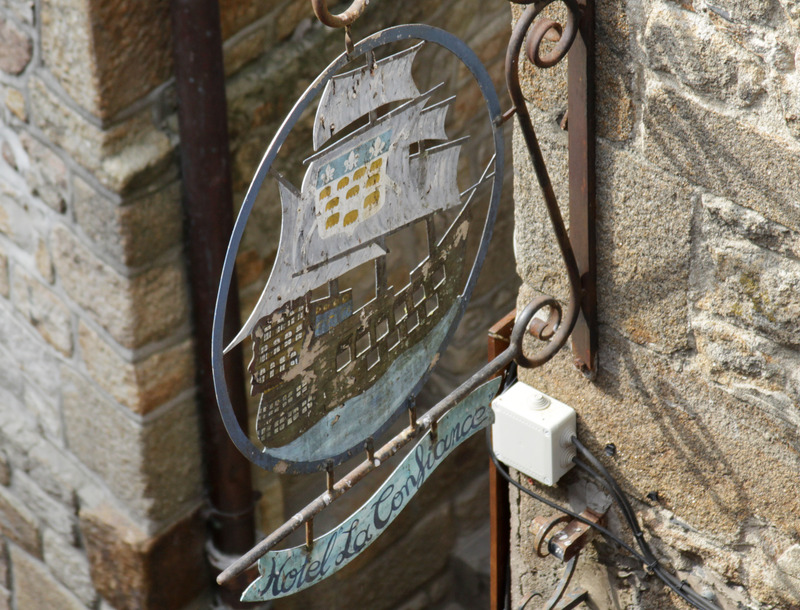 This one shows a ship with the coat of arms of the abbey on its sail. 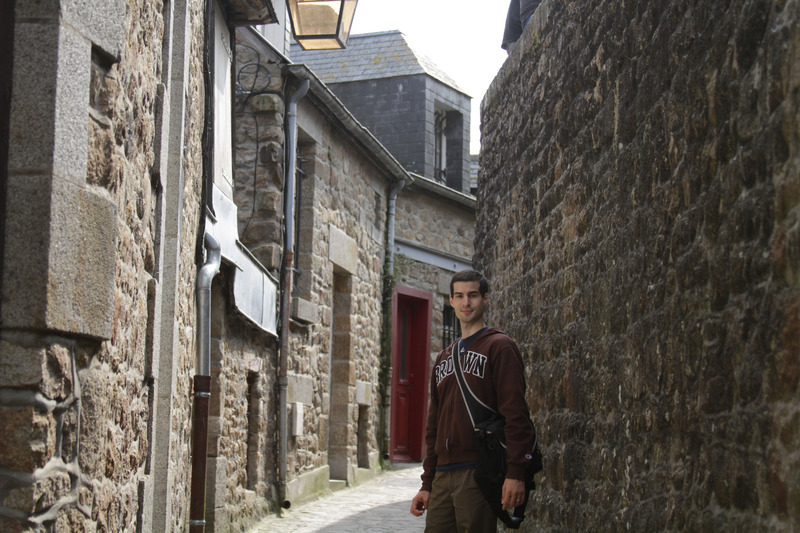 There are so many alleys and pathways to explore off of La Grande Rue. 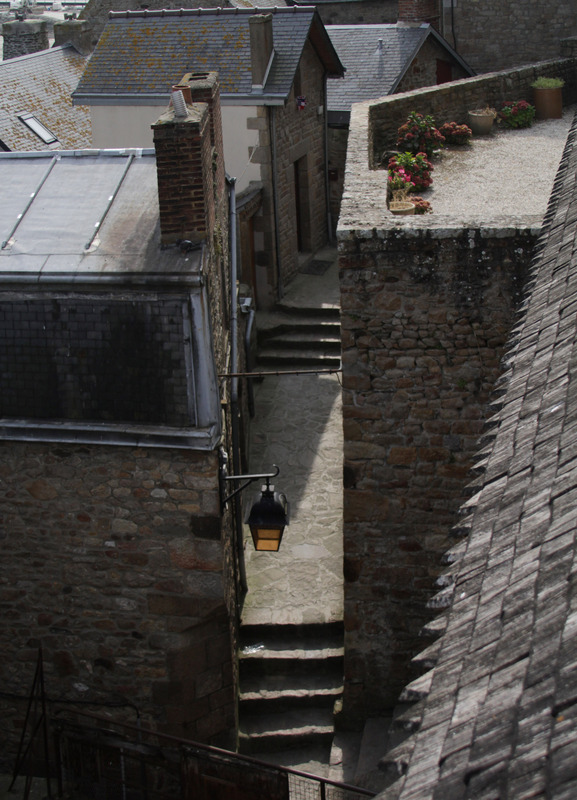 In some spots, the abundance of staircases at different elevations give it a maze like quality. 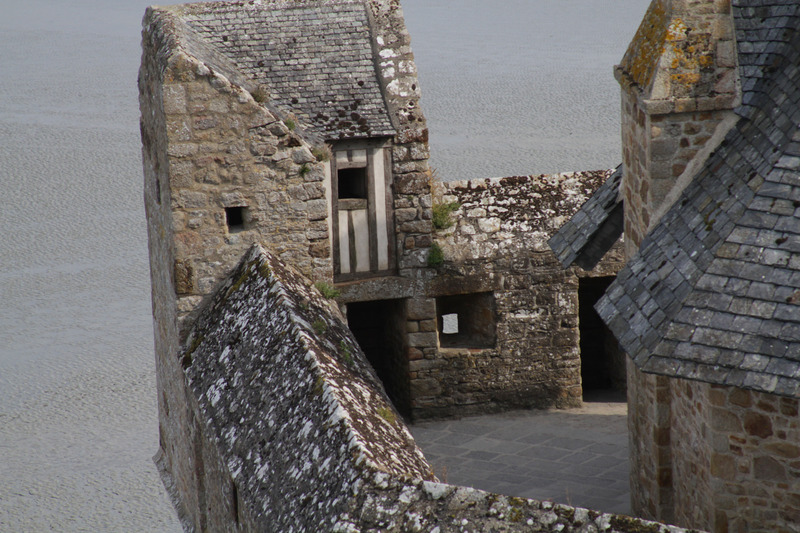 The site is filled with wonderful bits of character, some of which predate William the Conqueror. 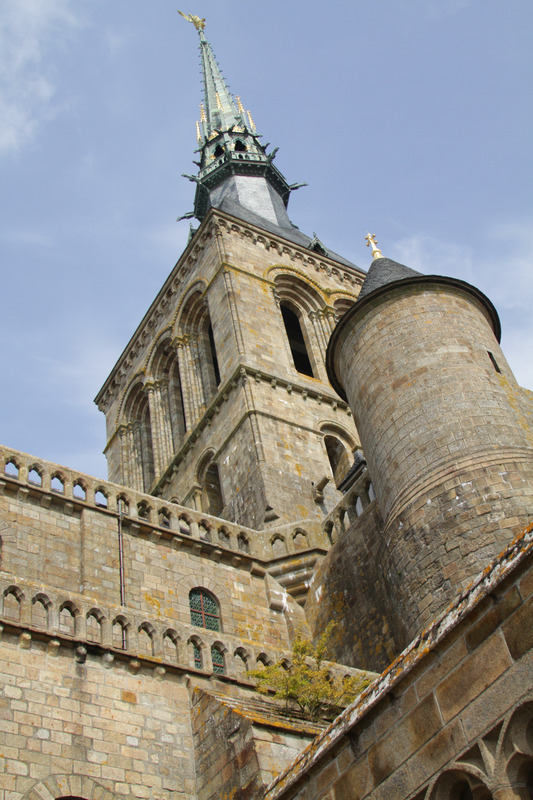 A golden statue of Saint Michael reaches for the sky atop L’Abbaye du Mont-Saint-Michel. 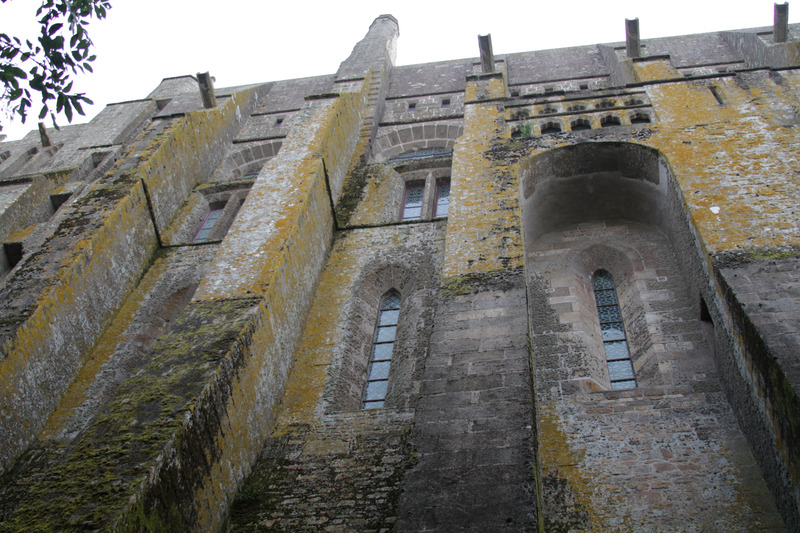 We toured the abbey from the lowest, oldest parts to the top most sections built in the 13th century. 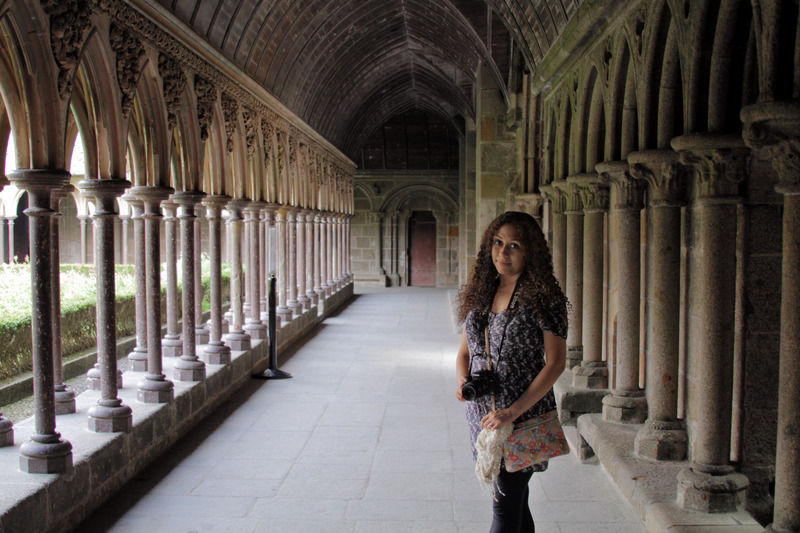 Here I am in the cloister of the abbey. 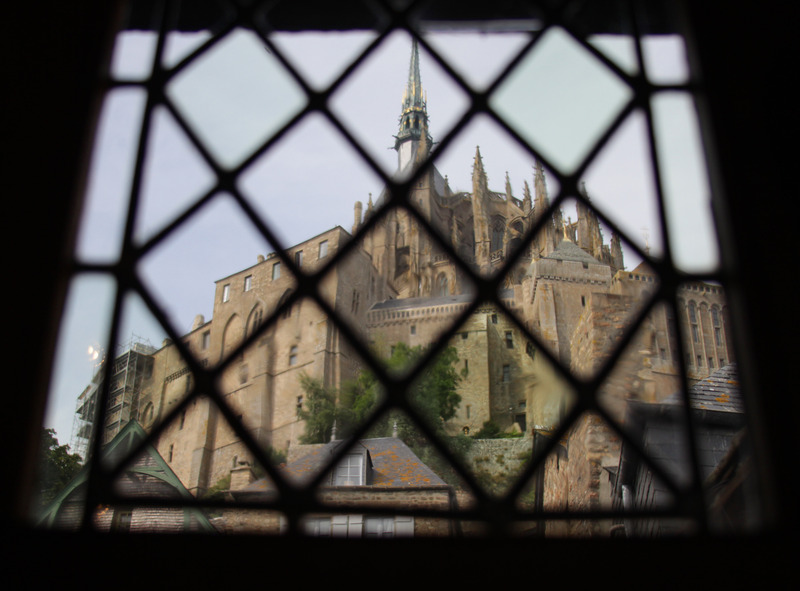 From the abbey, we could see the town and fortifications below. 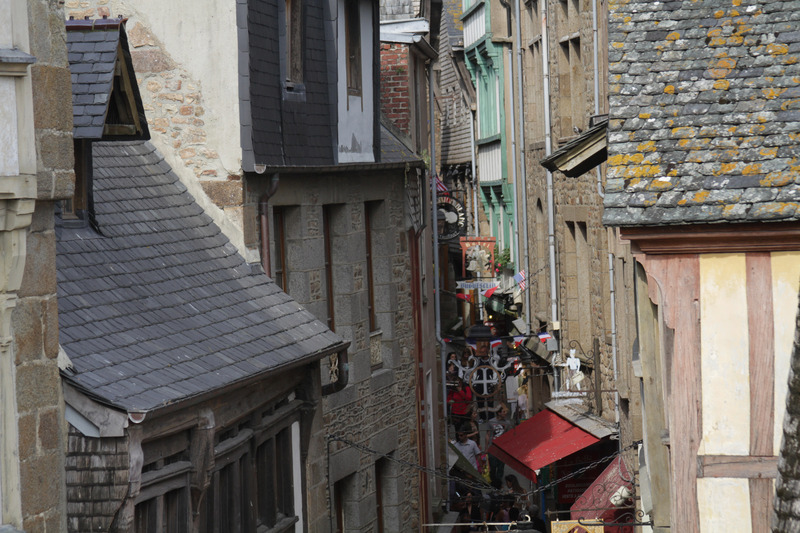 It’s fun to imagine a proud Frenchman standing here, looking down on the English besieging the city during the Hundred Years War. 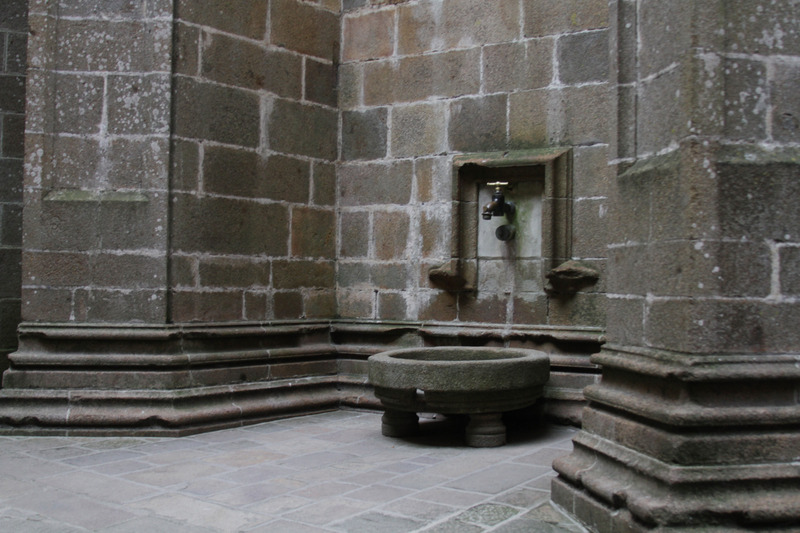 The way that nature has discolored and worn away the stone creates the most amazing textures. 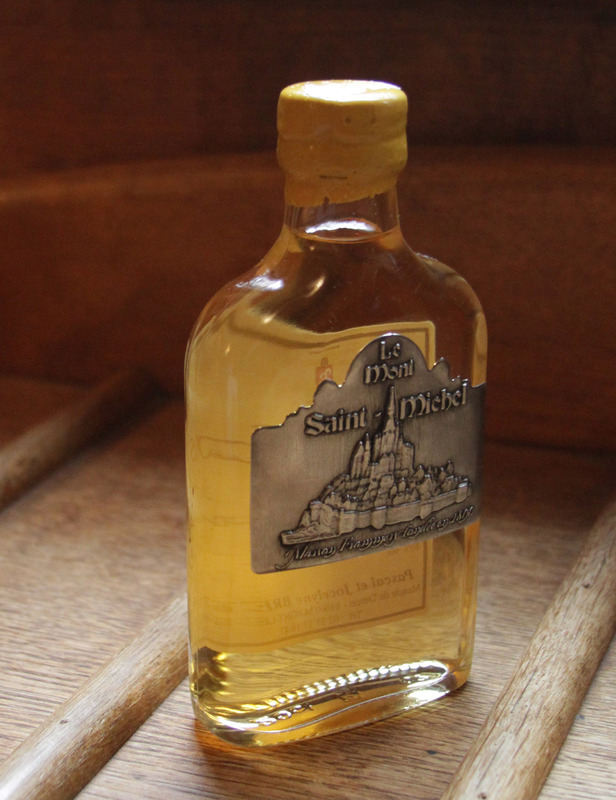 We bought a bottle of calvados apple brandy, even though we had left the département of Calvados the previous day, because we couldn’t resist this lovely bottle as a perfect souvenir. At night we were able to explore the tiny island with significantly less people around and experience the small town without the pressure of needing to leave in a rush. 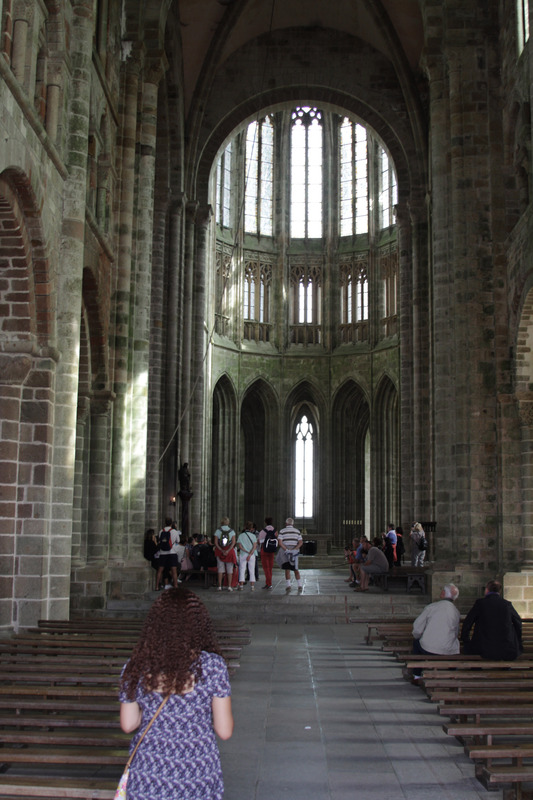 We were so excited to visit Mont Saint-Michel and our expectations were not only met, but exceeded. 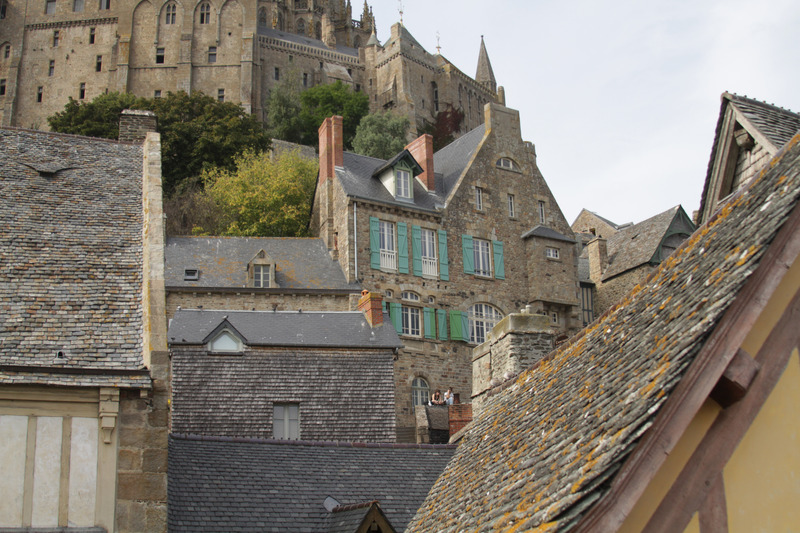 No matter what countries we travel to in our future, we strongly believe Mont Saint-Michel will always remain one of our favorite places on the globe.